Plentiful rainwater will be used by two concrete plants at the site which consume hundreds of thousands of liters of water annually for the production of concrete and rinsing their installations. 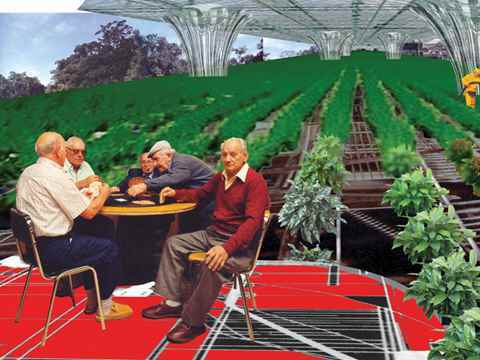 Production of electricity with solar panels is utilized on-site through lighting, machinery, charging electric forklifts, etc, and since surplus electricity has to be paid to the net administrator, it is economically more self-sustaining to share the energy with the neighborhood. To further improve the connection between the port and the city, large areas of the building are open to the canal, thus ensuring that the building creates a spatial connection of the two areas. 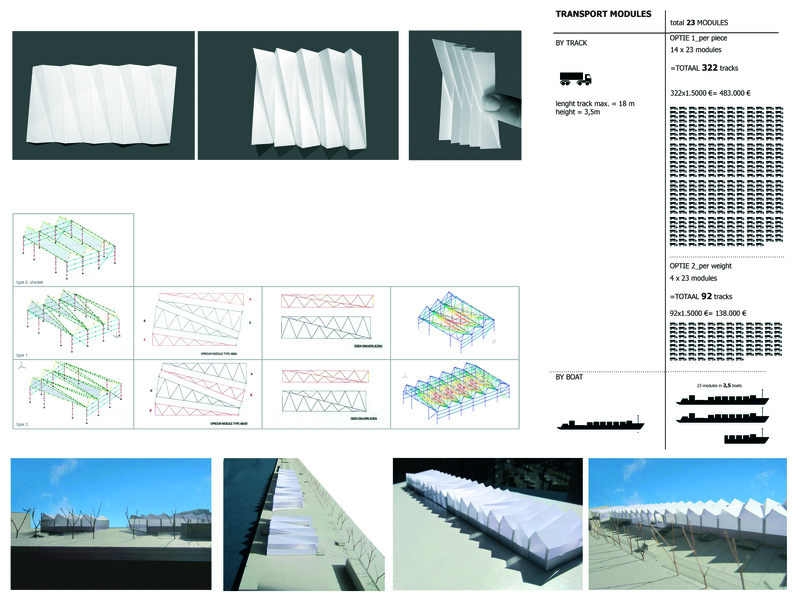 The construction materials village is a powerful statement of sustainable urban logistics and distribution. 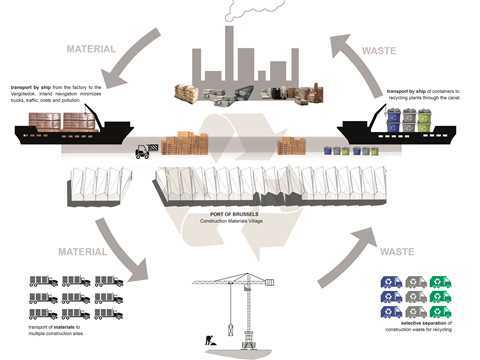 By distributing construction materials to the city and collecting construction waste from the city, the village functions as a logistics hub between port and city. The village will become an important link in the product life-cycle management of materials. Located in the city center, the industrial activity operates as an integrated zone in an urban area. 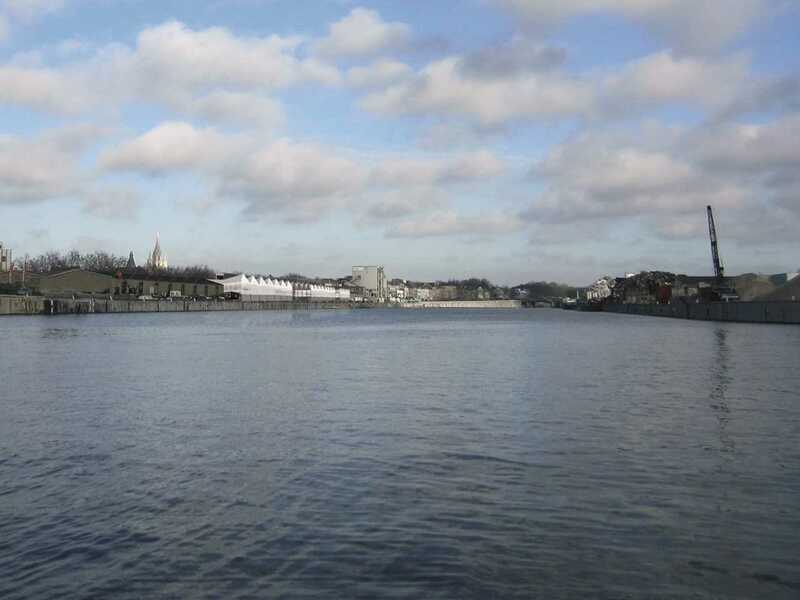 The Vergotedok in the Port of Brussels, Belgium. Open spaces create spatial connections between the urban tissue and the port. The large canopy roof is fitted with solar panels and a rainwater collection system. 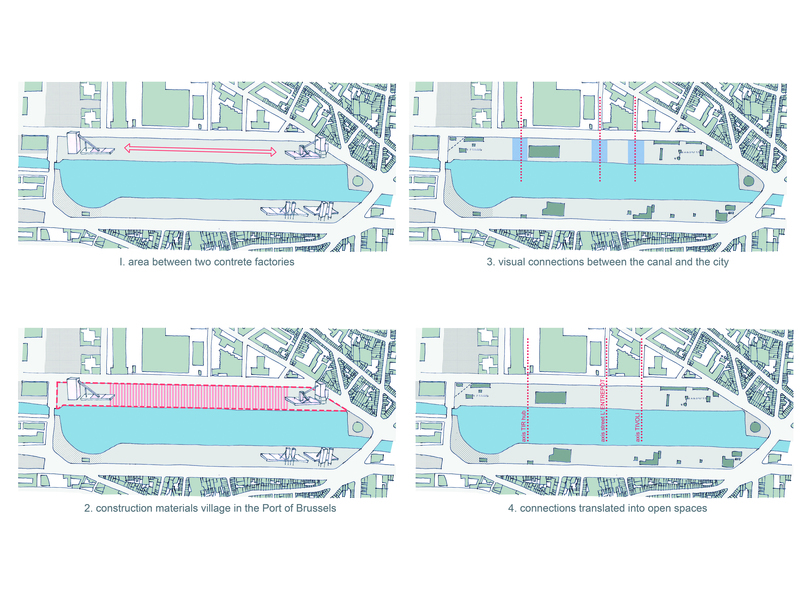 Modular site layout: based on the 20m distance between bollards of the quay. 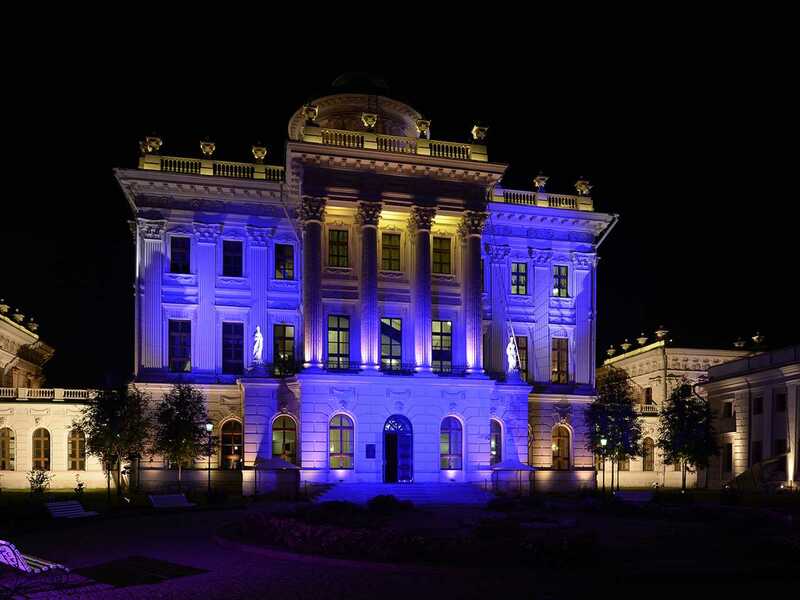 The showrooms of the concession holders are situated at the end of the volumes. 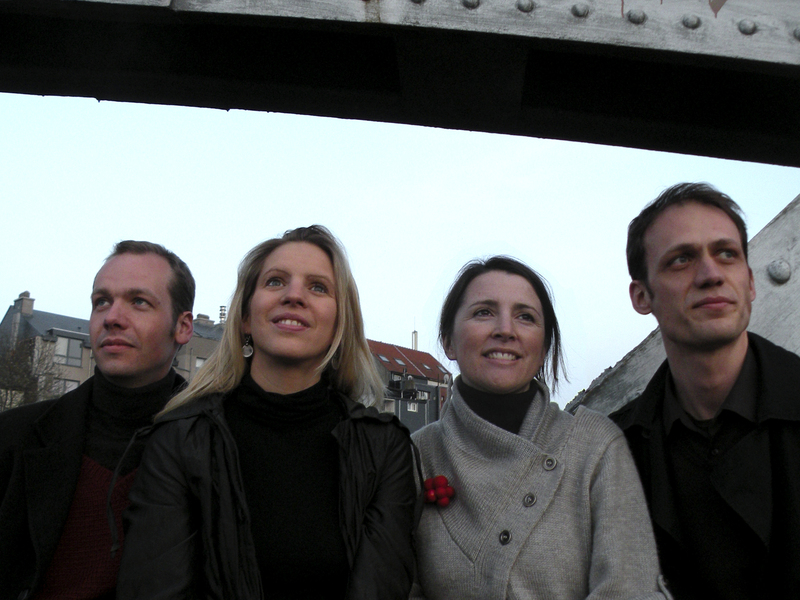 Construction kits are created to enhance the functional flexibility of the village. 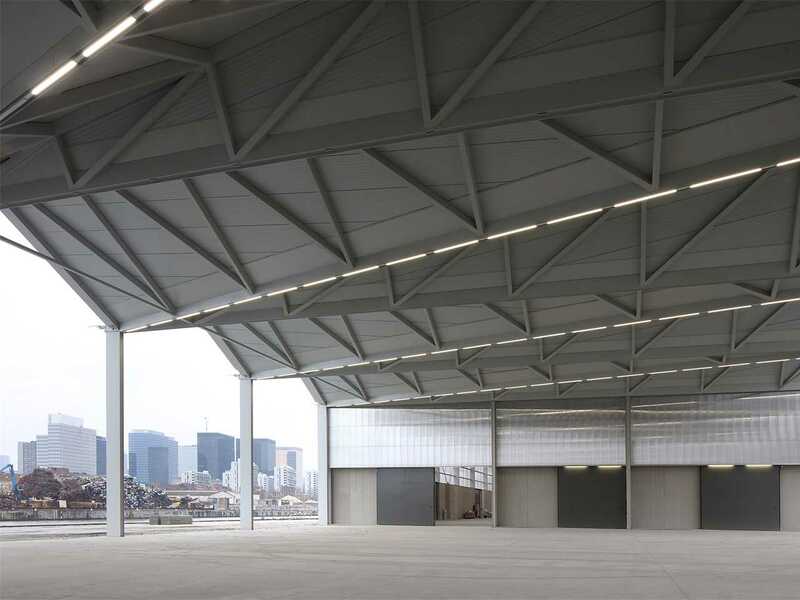 The folded shape of the roof acts as a reverse spatial carpet on the 500m-long axis. View of the construction materials village from Avenue du Port. 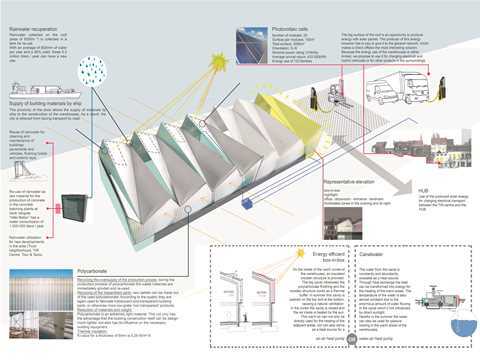 This construction materials village is an illustration of sustainable urban logistics as part of a larger ecosystem. 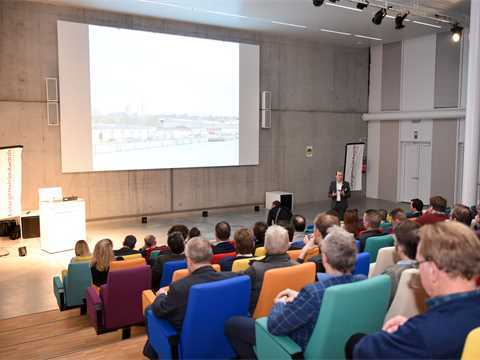 By distributing construction materials to Brussels and collecting construction waste from it, the village functions as an important logistics and distribution hub between port and city. The modular and hierarchical structure of the warehouses makes the architecture receptive to different programmatic demands of various site users. A total of 21 roof modules with a weight of 600 tons and 253 tons of columns and beams have to be supported. 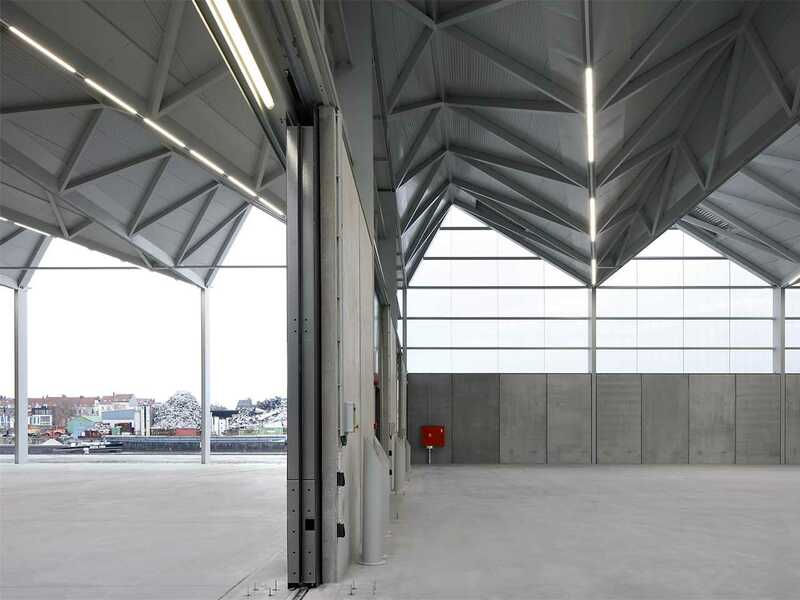 The flexible modular system of the “construction materials village” in the port of Brussels combines infrastructure with industrial and logistics activities. The hub maintains the industrial heritage of the site and cleverly reduces truck movements on local roads by focusing logistics on the canal – only short trips via roads are required within the neighborhood back to the hub. 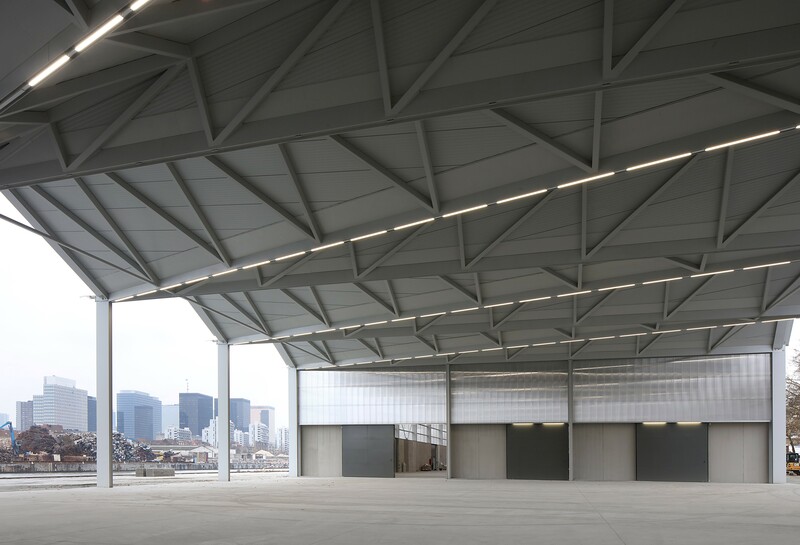 The design by TETRA architecten consists of a multifunctional and modular space in which warehouses, showrooms, and offices are combined across 25,000m². 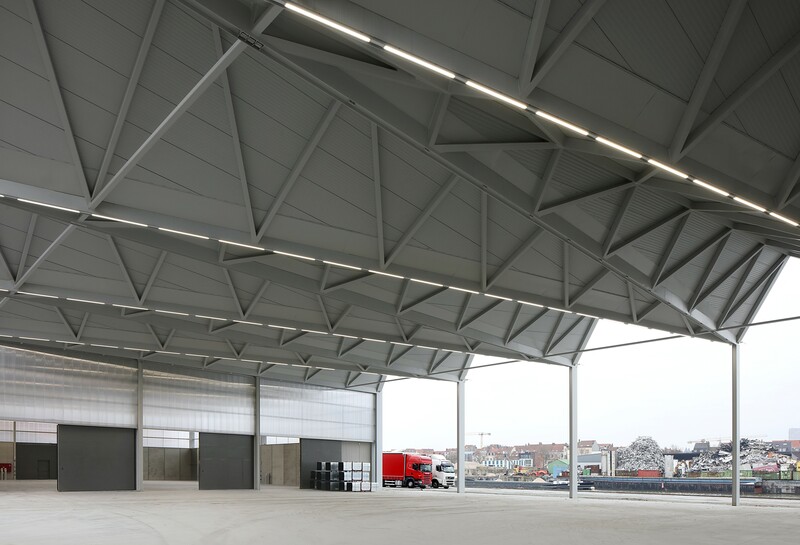 A construction materials recycling and logistics hub at the Vergotedok in the heart of Brussels has been completed. 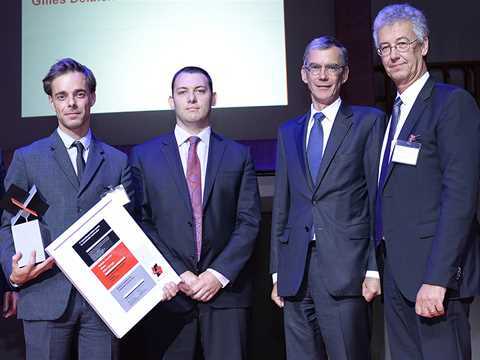 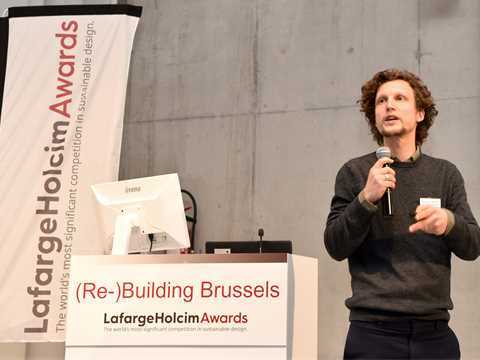 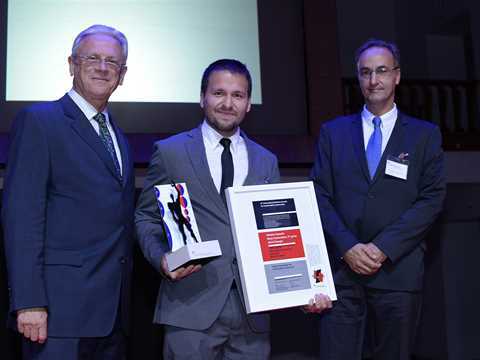 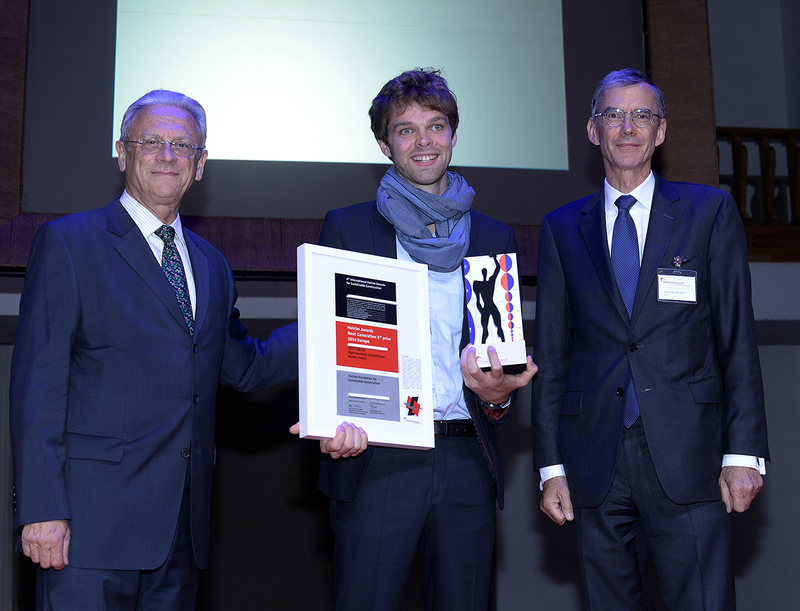 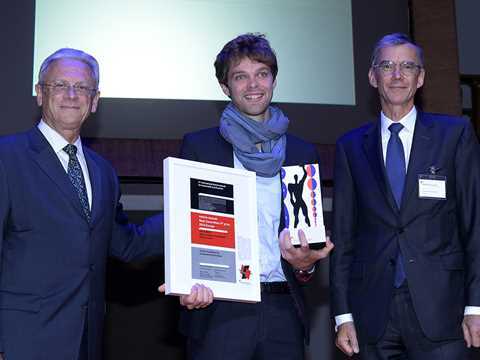 The LafargeHolcim Acknowledgment prizewinner from Belgium in 2014 by TETRA architecten was praised for applying sustainability principles to the construction of infrastructure – in a warehouse complex for the trade of building materials in the port of Brussels. 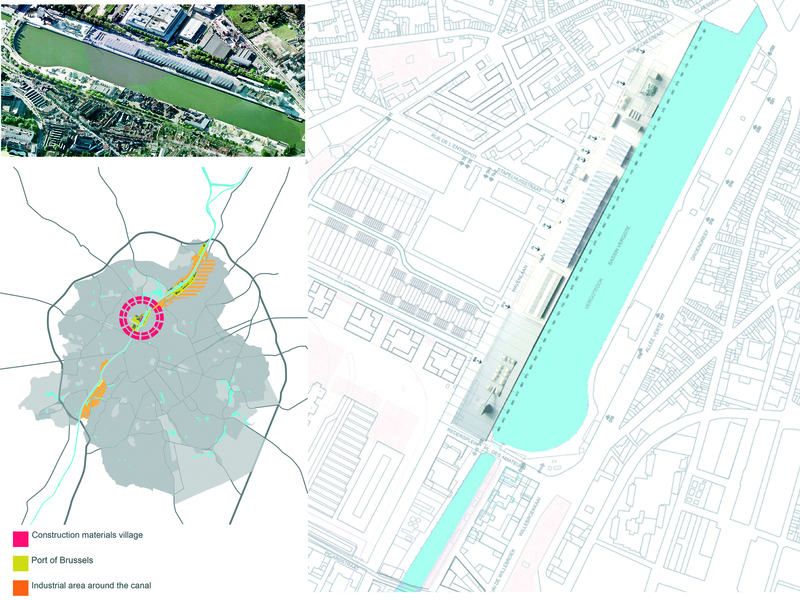 The construction of the complex marks the start of implementing Brussels’ Canal Plan, which aims to increase both the density and diversity of activities in the canal precinct, and to promote better urban integration. 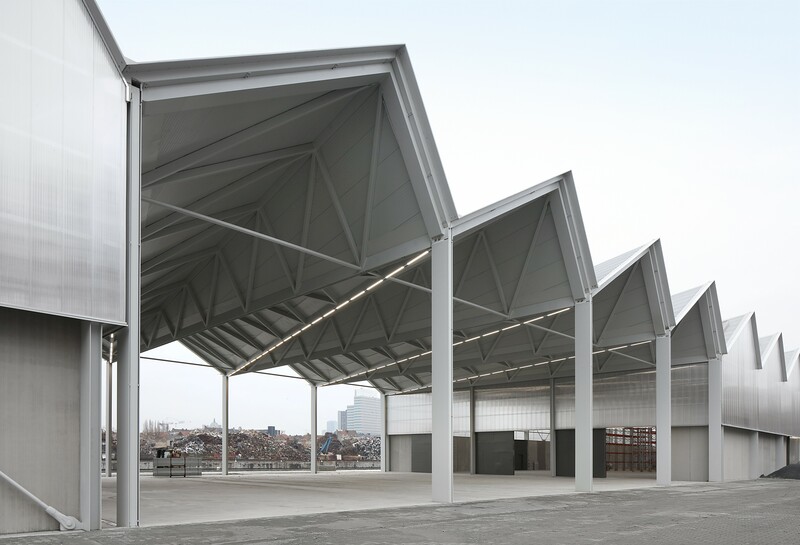 The design by TETRA architecten consists of a multifunctional and modular space in which warehouses, showrooms, and offices are combined across 25,000m². A complex steel framework is the core support structure of the two warehouses, which are connected by an outdoor area covered with a canopy. 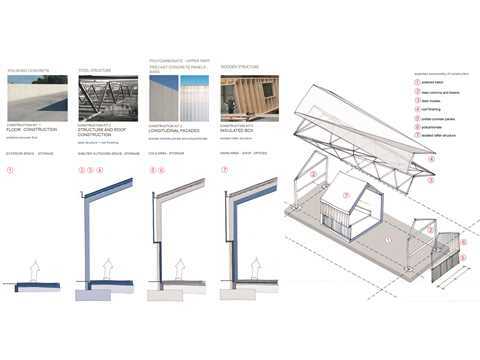 A total of 21 roof modules with a weight of 600 tons and 253 tons of columns and beams have to be supported. 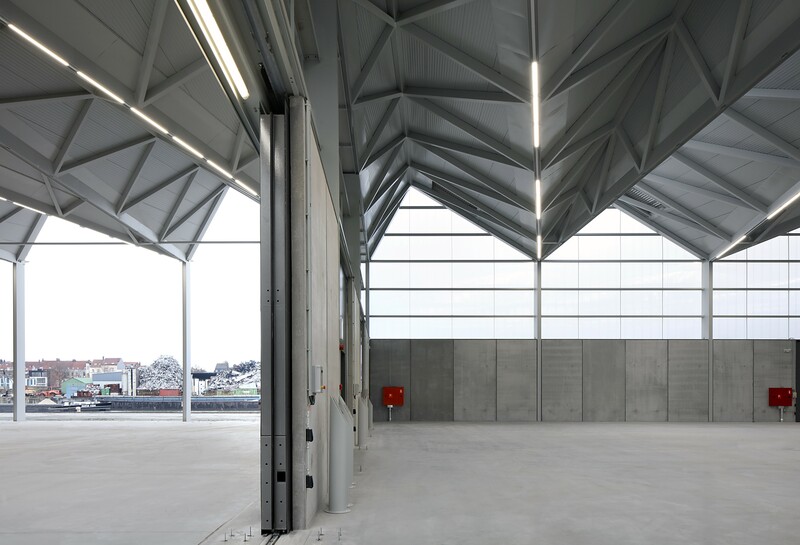 The flexible modular system of the “construction materials village” in the port of Brussels combines infrastructure with industrial and logistics activities. 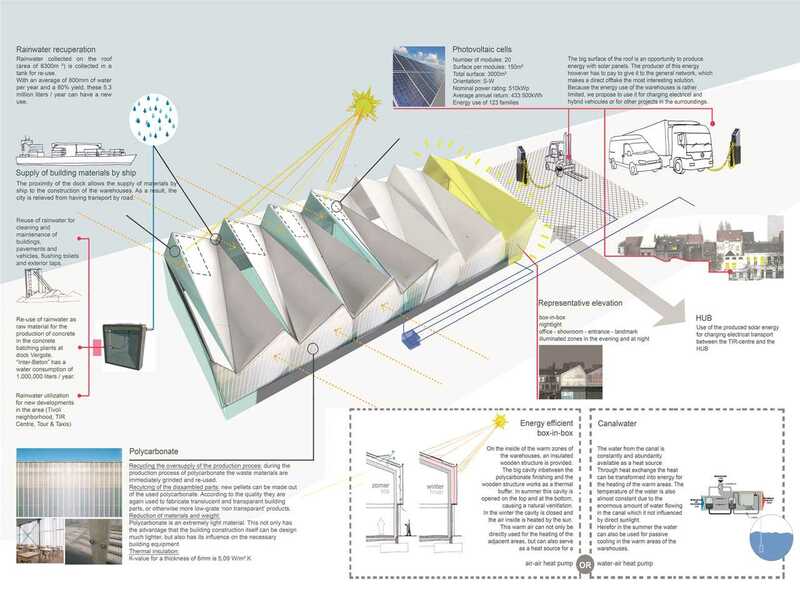 The large canopy roof is fitted with solar panels and a rainwater collection system. 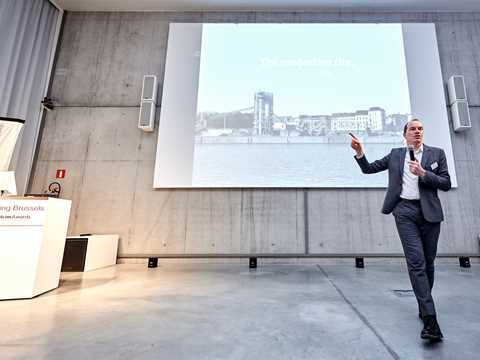 The collected water and the energy produced by the solar panels can be put to the service of a ready-mix concrete plant on site and serve future developments in the surrounding neighborhood. 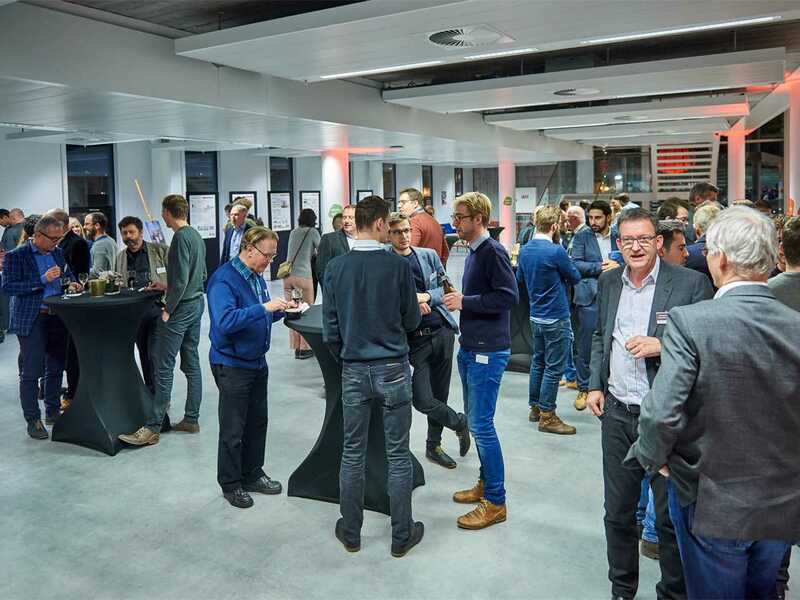 The hub maintains the industrial heritage of the site and cleverly reduces truck movements on local roads by focusing logistics on the canal – only short trips via roads are required within the neighborhood back to the hub. 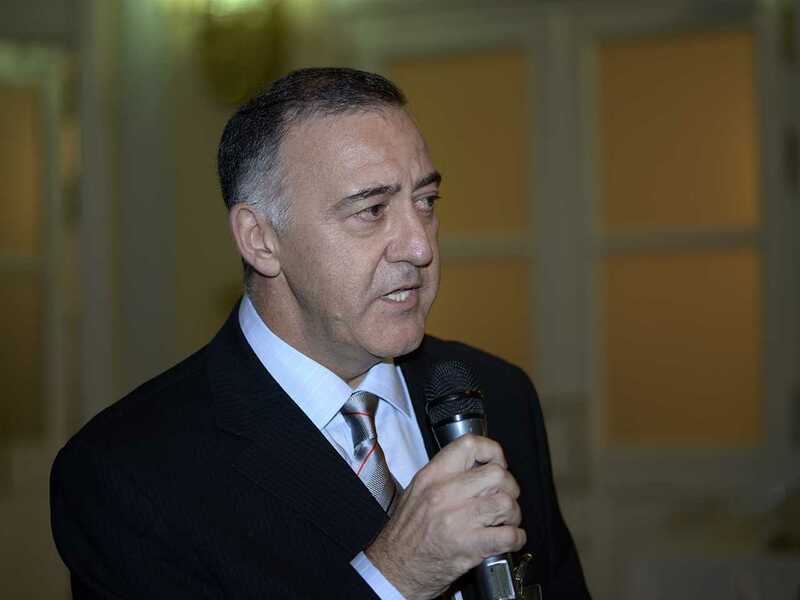 The intention is to organize the supply and distribution of building materials in the metropolitan region as much as possible via the waterway. By distributing construction materials to the city and collecting construction waste from the city, the building functions as an important logistics and distribution hub between port and city. 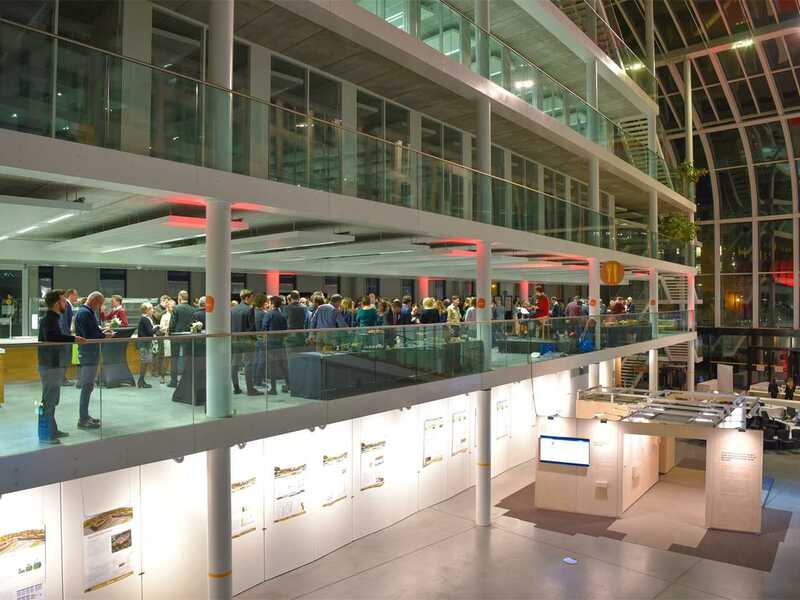 To further improve the connection between the port and the city, large areas of the building are open to the canal, thus ensuring that the building creates a spatial connection of the two areas. 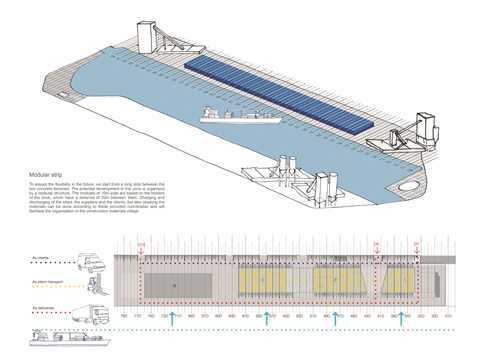 The Port of Brussels is planning for an increase in waterway traffic of 210,000 tons per year, as a result of the construction of an urban building materials transhipment centre, which will complement the project. This desire to promote the use of the waterways – the most environmentally friendly mode of transport – will take care of all transport to and from the site by waterway, and is a first in the Brussels-Capital Region. 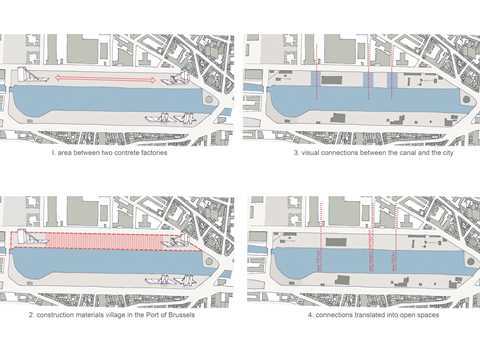 The warehouses are one of the pilot projects of the Canal Plan, run by the Brussels-Capital Region in close cooperation with the Port of Brussels. The plan aims to improve the area and ensure an optimal connection of port and city. 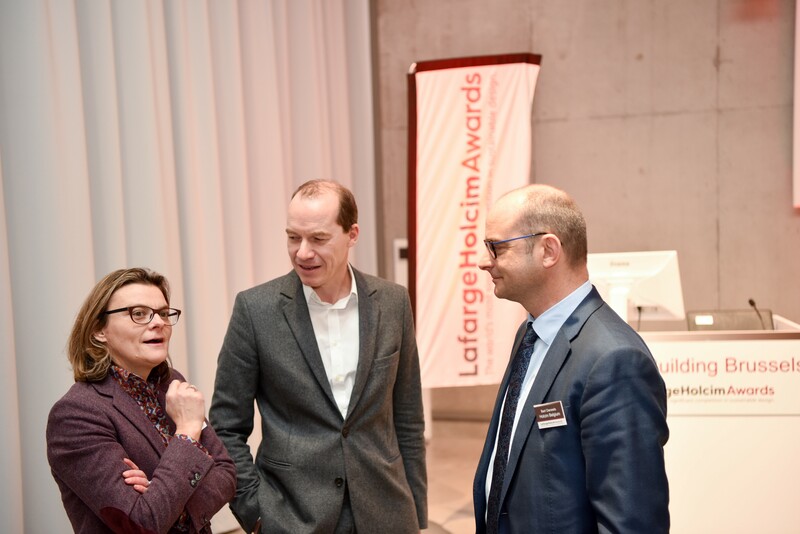 The Canal Plan and TETRA architecten received further acclaim in the LafargeHolcim Awards in 2017. 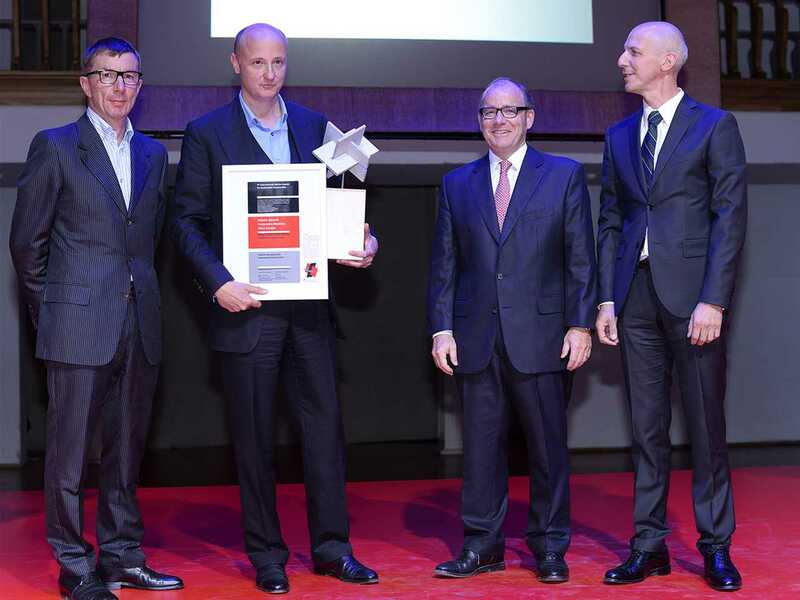 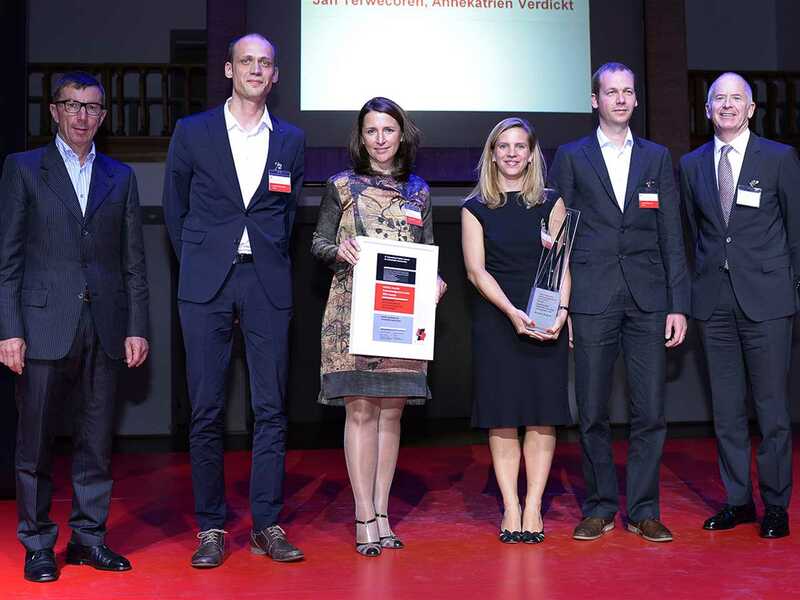 Two Gold ax aequo prizes were awarded to projects on the canal in Brussels, one of which went to TETRA architecten for their project “Adaptable structure for a garbage management company”, a facility that serves as workplace on the canal front for 500 Bruxelles Propreté employees. 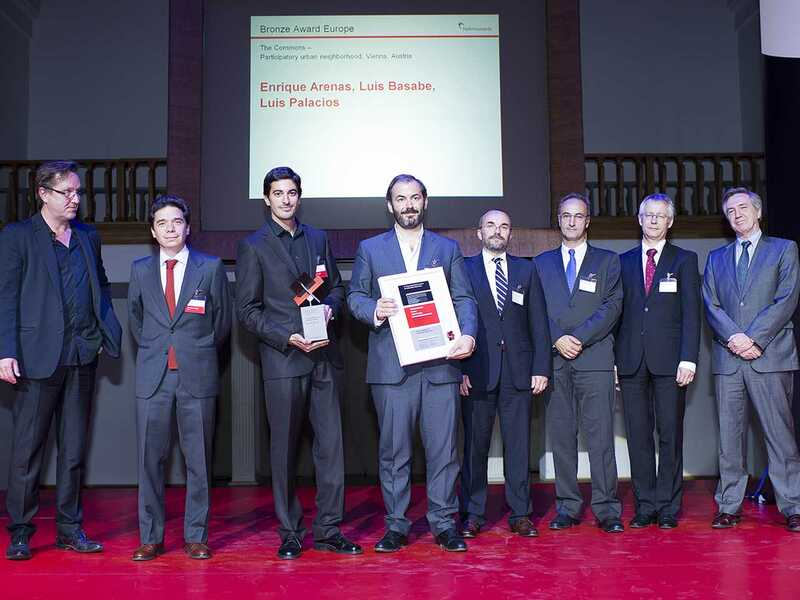 The second Gold award ax aequo went to BC architects and studies for their project “Urban integration of an existing concrete mixing facility”. 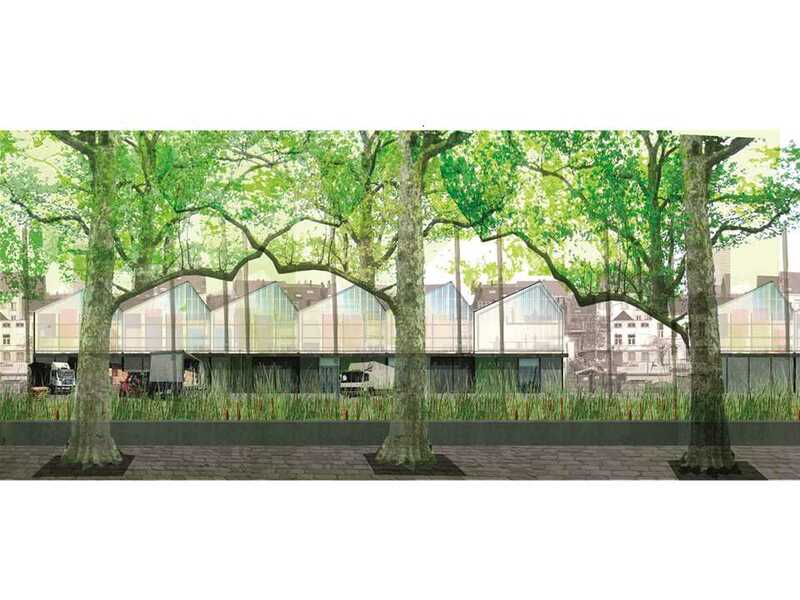 The project offers an alternative to conventional approaches by retaining a concrete-mixing facility on site rather than relocating it to the city’s edges, while adding a range of functions – both public spaces as well as privately funded workspaces – to add urban density to the site. 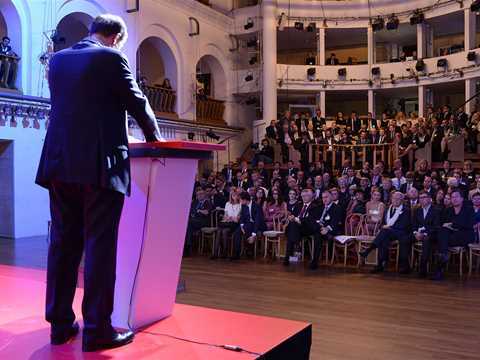 “In Brussels, urban development also means keeping production in the city center,” explained Kristiaan Borret, City Architect of Brussels to more than 130 guests from architecture, urban planning and politics. 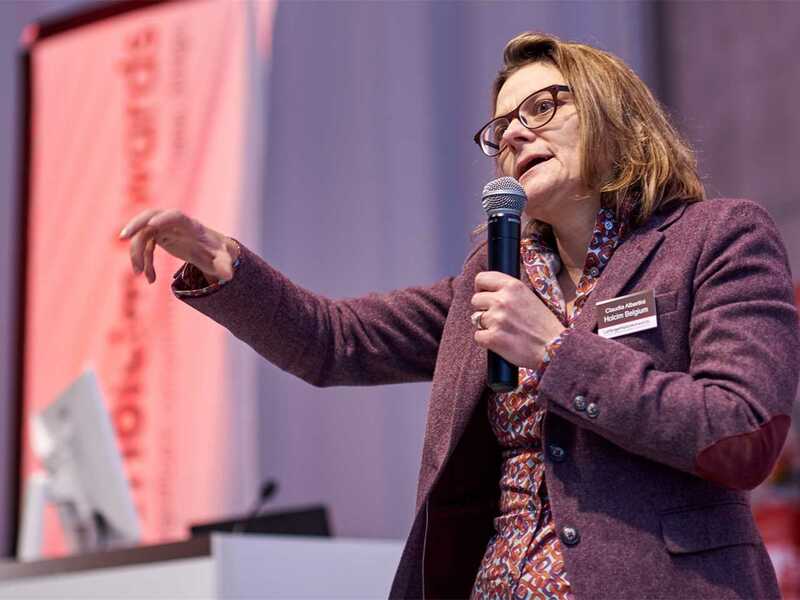 Annekatrien Verdickt from TETRA presented projects that enable the integration of the client’s needs with (green) public spaces, while also setting aside areas for future development. More than 130 guests from architecture, urban planning and politics experienced how sustainable construction is applied in the Brussels Canal District. 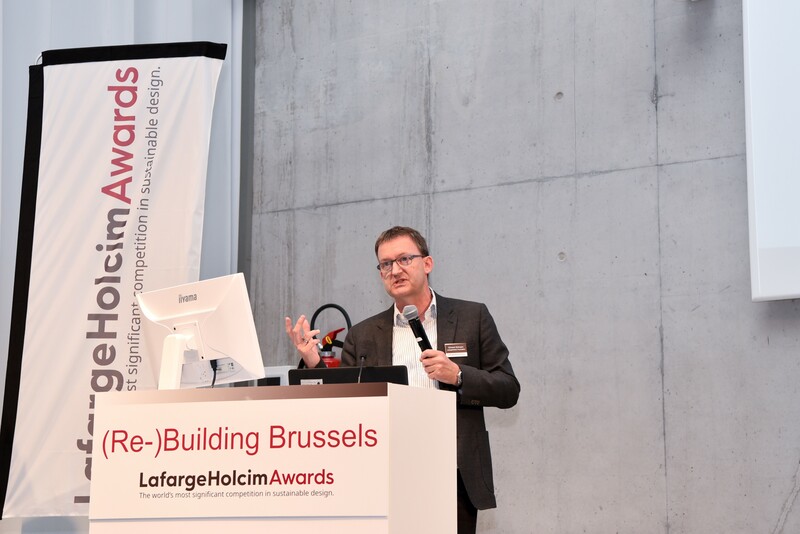 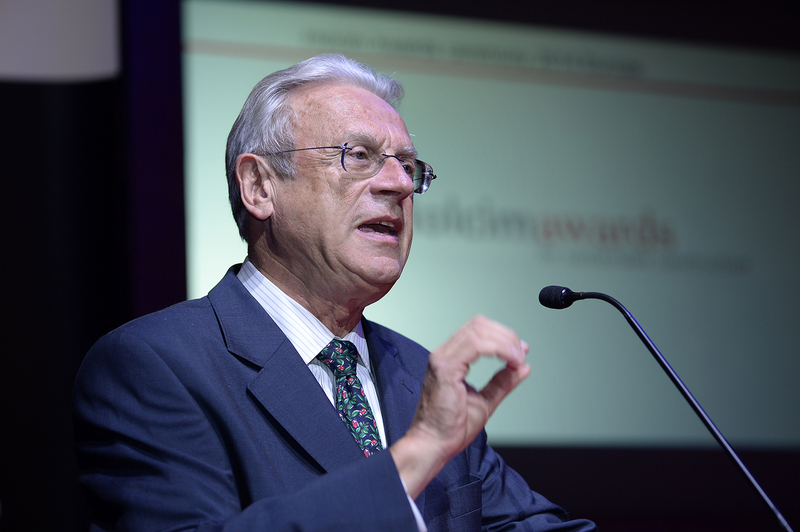 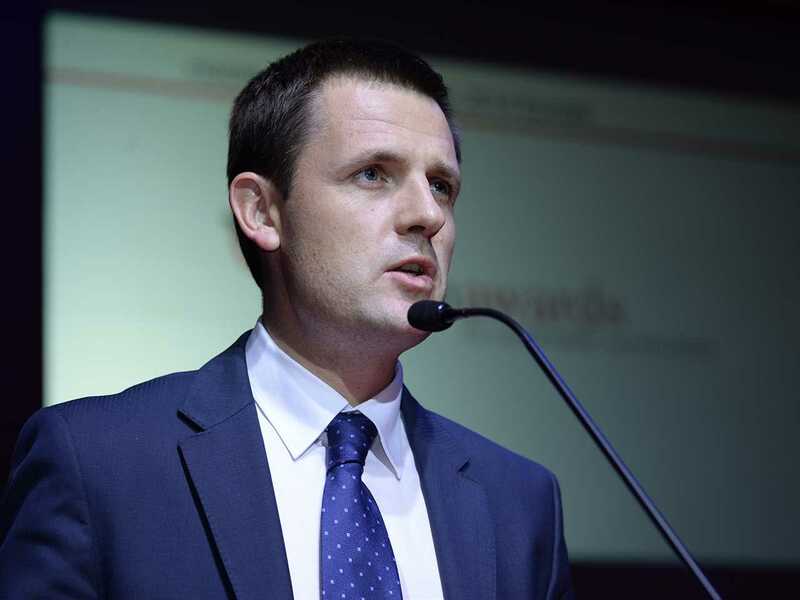 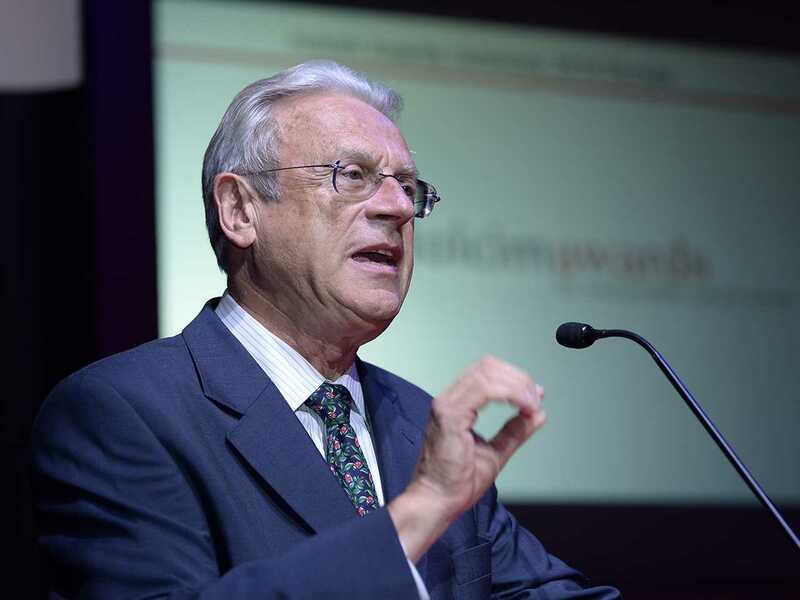 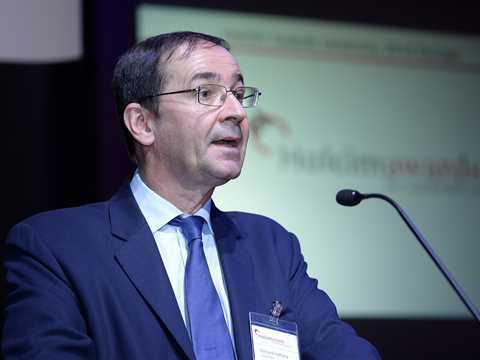 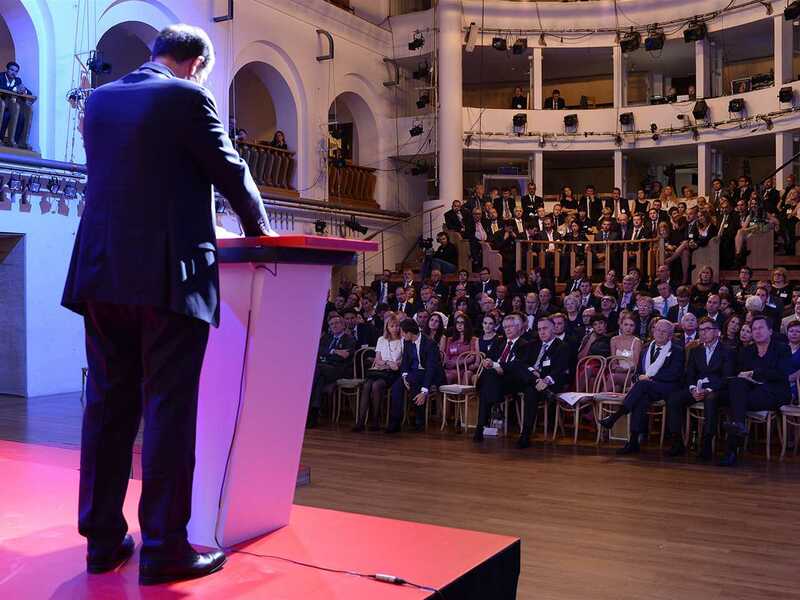 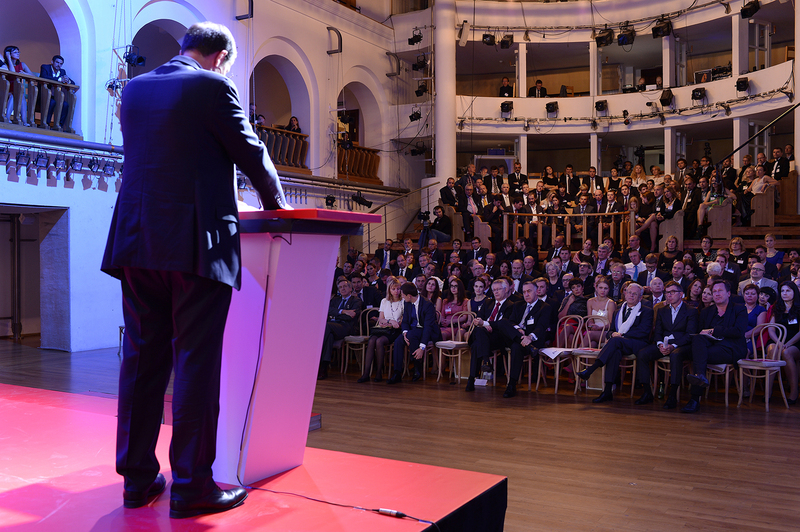 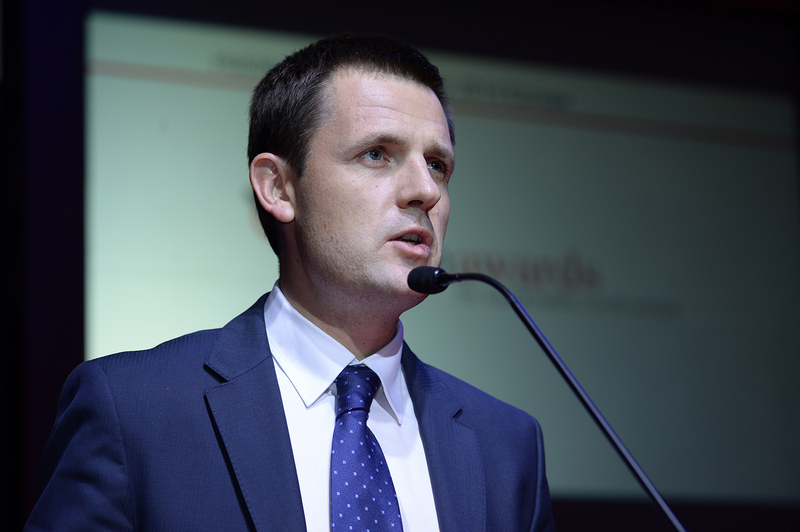 Edward Schwarz, General Manager of the LafargeHolcim Foundation for Sustainable Construction, noted that the independent jury of specialists considered Brussels to be an inspiring example of how to continue developing an urban precinct that is already highly developed. 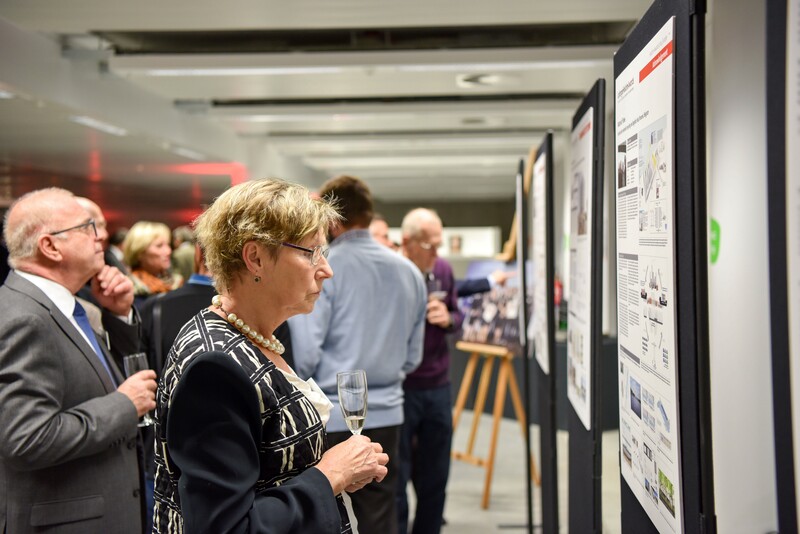 Examining inspiring examples of how to continue developing an urban precinct that is already highly developed. 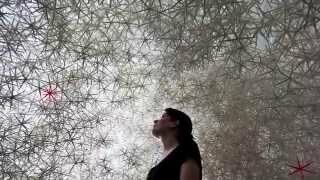 Ken De Cooman illustrated how sustainability can be achieved by integrating traditional building materials and techniques as well as local craftsmanship to realize contemporary solutions. 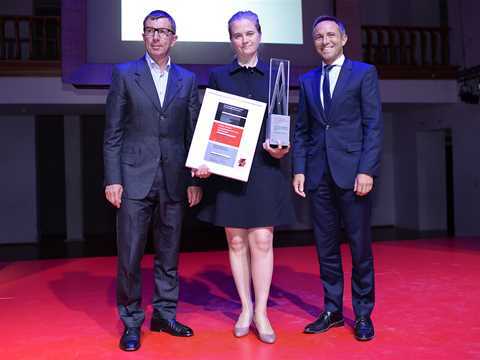 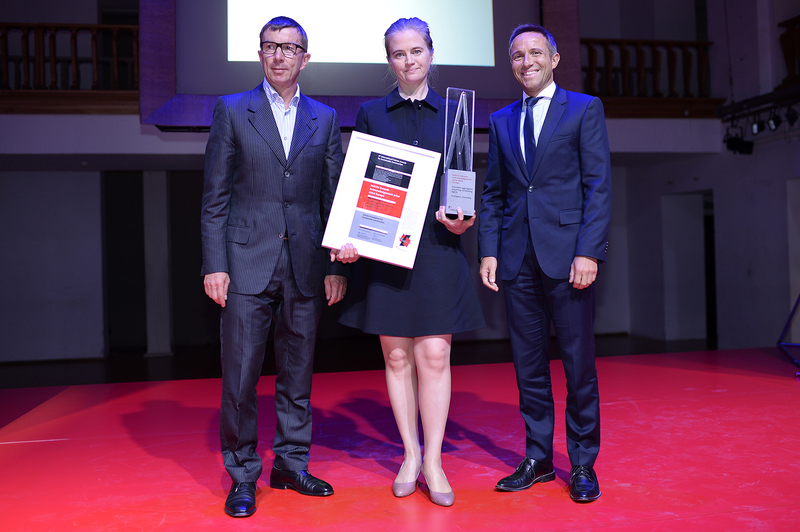 Claudia Albertini, CEO of Holcim Belgium, congratulated the winners on their projects and emphasised that the LafargeHolcim Group is engaged in sustainable development on all continents and with products and services to meet highest expectations also with regard to sustainability. 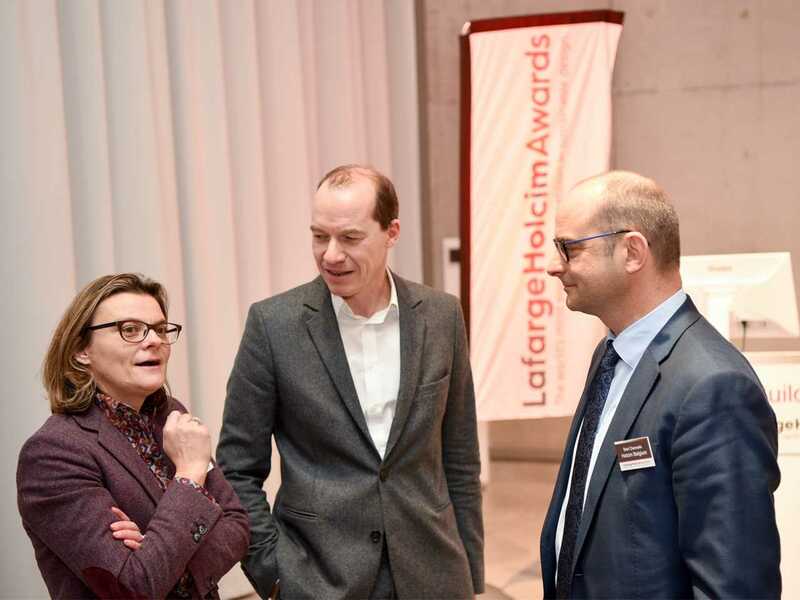 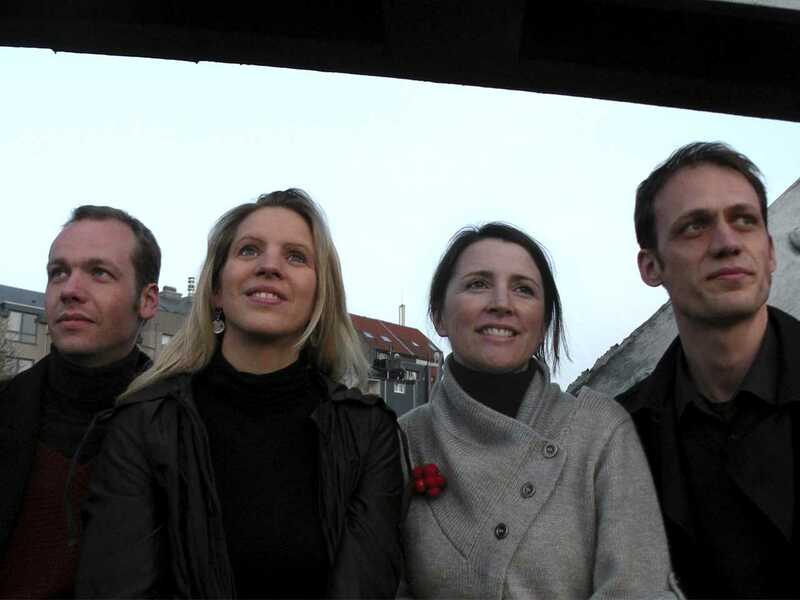 Claudia Albertini, CEO of Holcim Belgium; Kristiaan Borret, City Architect of Brussels; and Bart Daneels, Sales & Marketing Director, Holcim Belgium. 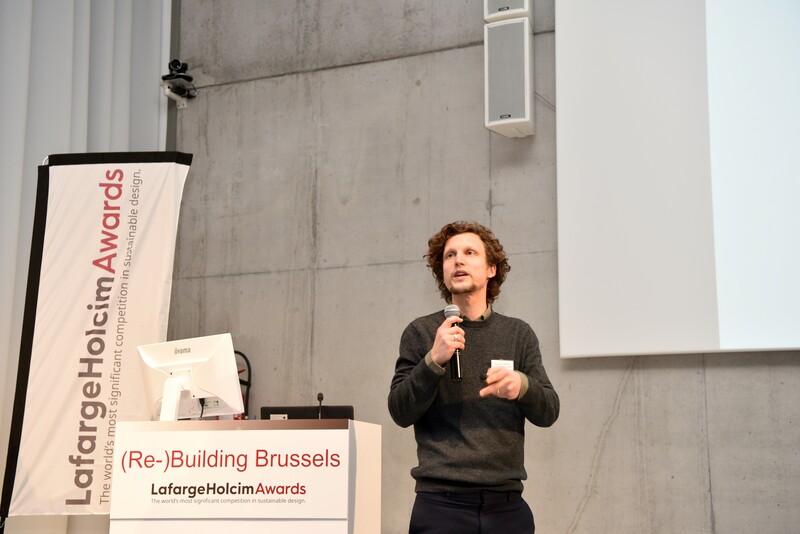 “In Brussels, urban development also means keeping production in the city center,” explained Kristiaan Borret, City Architect of the Belgian capital. 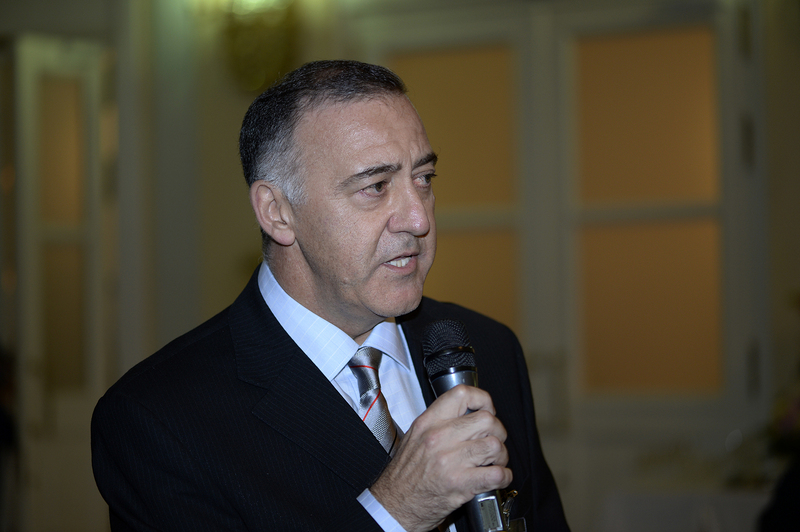 Instead of moving existing facilities to the outskirts, they are integrated into the developing neighborhoods. 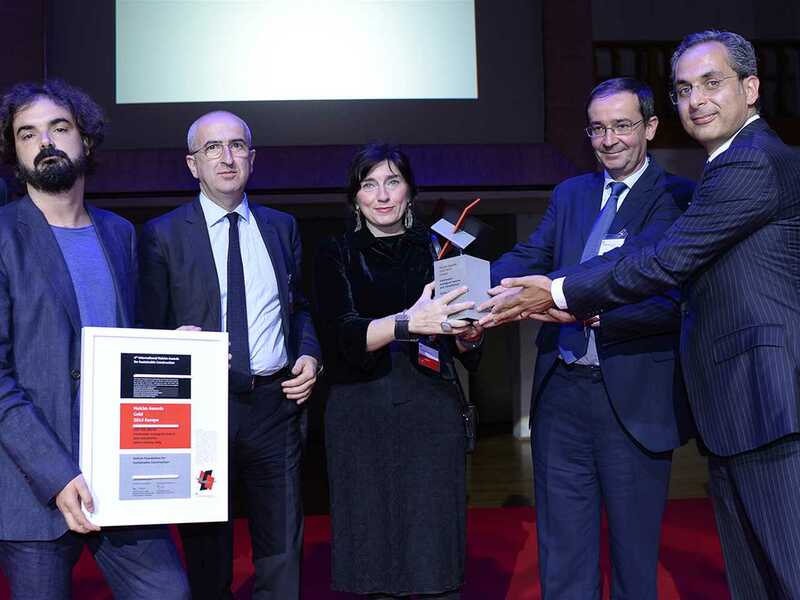 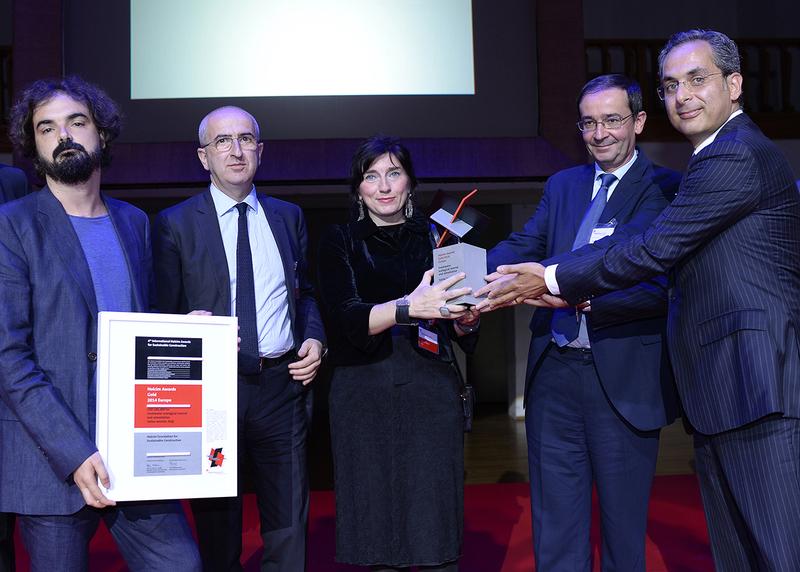 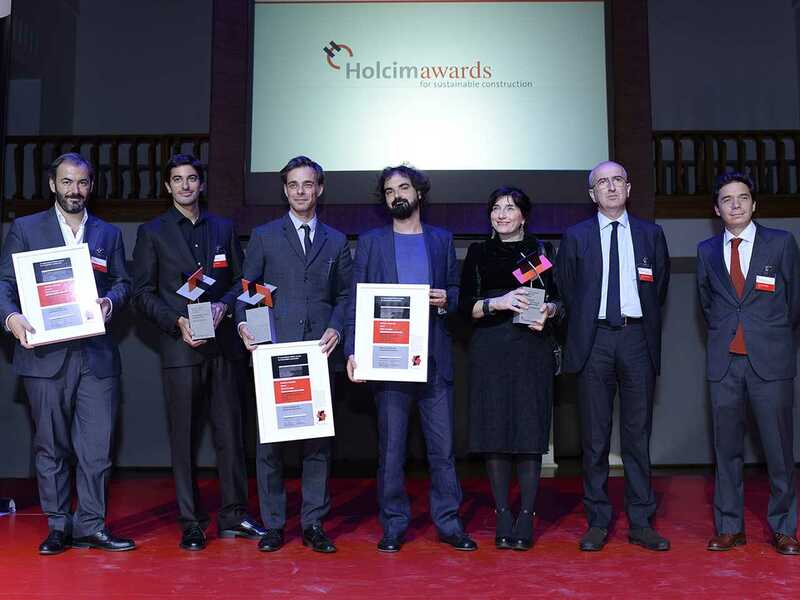 Two projects of the Brussels Canal District masterplan received international recognition in 2017 by winning the 5th LafargeHolcim Awards in Europe. 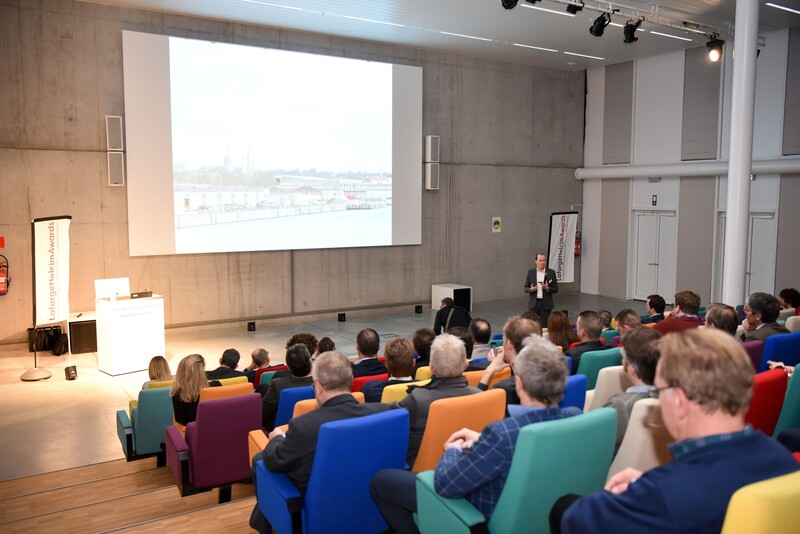 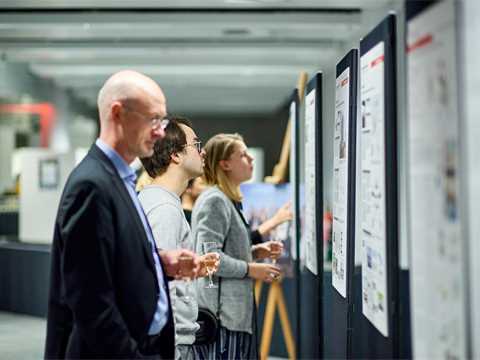 More than 130 guests from architecture, urban planning and politics experienced how sustainable construction is applied in the Brussels Canal District, hosted by Holcim Belgium. 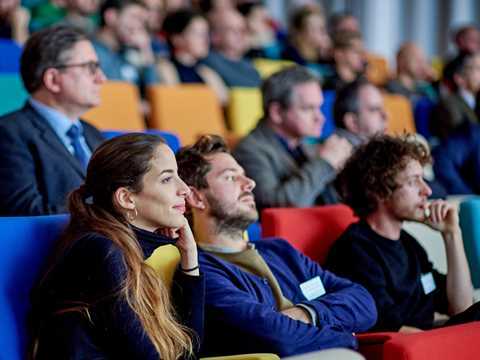 Kristiaan Borret, City Architect (Bouwmeester), opened the event by advocating the central district must remain attractive for both “thinkers and makers”. 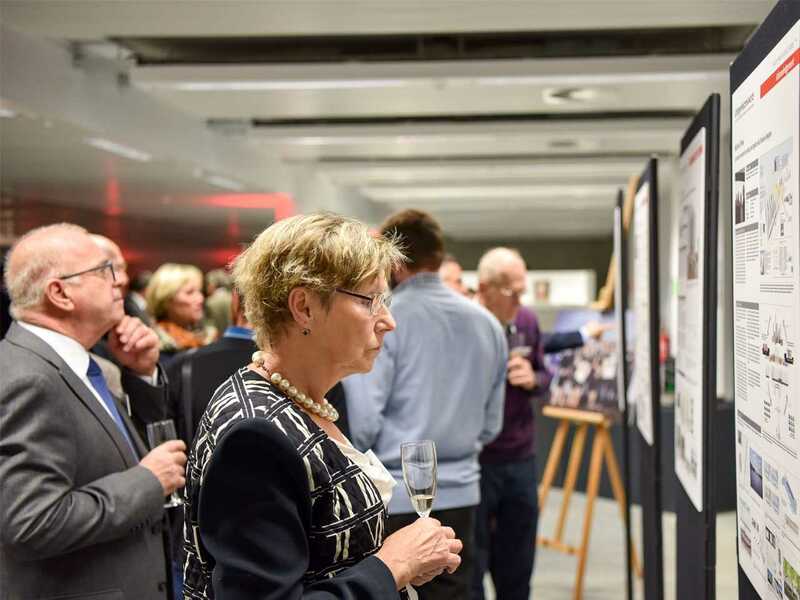 It makes perfect sense to retain industry as part of the mixed-used development of the precinct, especially when taking into account the existing industrial infrastructure and the logistics advantages of the canal. The city masterplan tackles demographic, economic, social, environmental and territorial challenges for the urban (re-)development of the central district of Brussels. 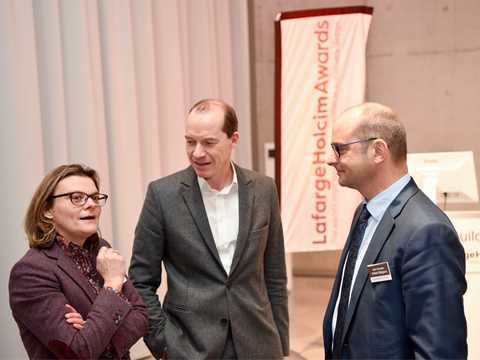 And to keep up with the changing needs of Brussels, its inhabitants and the environment, “masterplans need to be constantly adapted” Kristiaan Borret said. Edward Schwarz, General Manager of the LafargeHolcim Foundation for Sustainable Construction, noted that the independent jury of specialists considered Brussels to be an inspiring example of how to continue developing an urban precinct that is already highly developed. 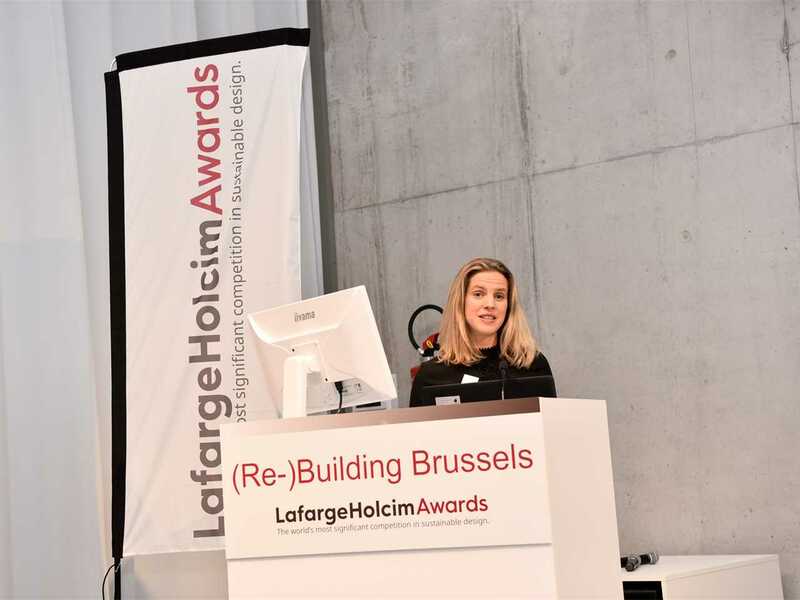 “The jury decided to declare Brussels a hotspot for sustainable development based on brilliant strategies to improve the built environment.” Two construction projects located in the Canal District by TETRA architecten and BC architects & studies were chosen to receive LafargeHolcim Awards Gold Europe 2017 ex aequo. TETRA architecten from Brussels had already been acknowledged in a former Awards competition for their project “Construction materials recycling and logistics hub”. 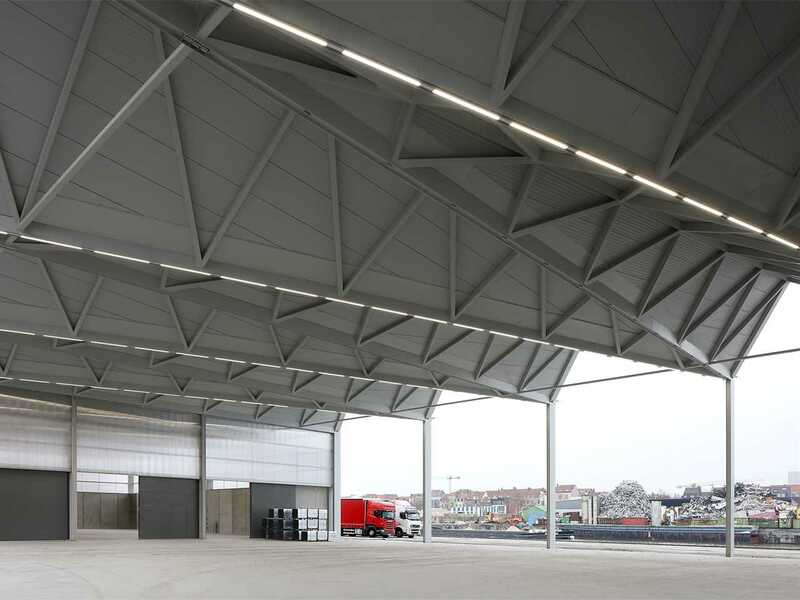 Soon to be opened, the flexible modular system of the “construction materials village” in the port of Brussels combines infrastructure with industrial and logistics activities. 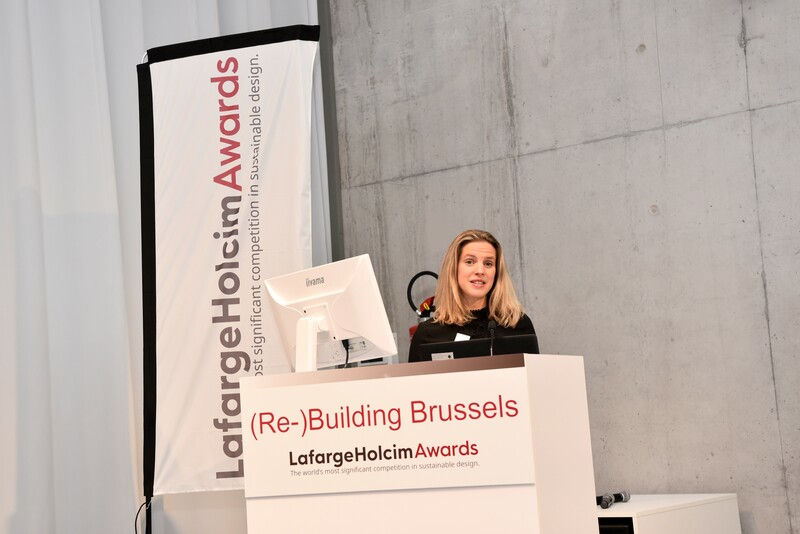 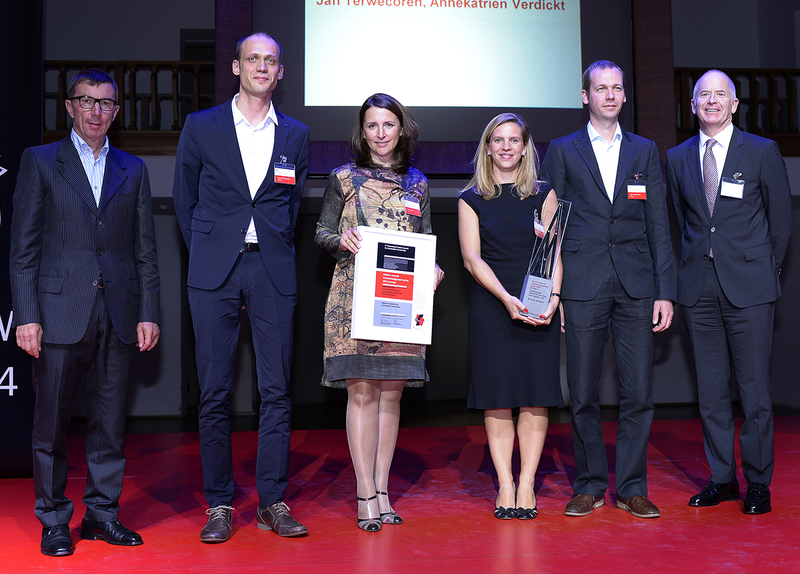 Annekatrien Verdickt from TETRA also presented their latest prize winning project “Adaptable structure for a garbage management company”, a facility that serves as workplace on the canal front for 500 Bruxelles Propreté employees. Both projects enable the integration of the client’s needs with (green) public spaces, while also setting aside areas for future development. 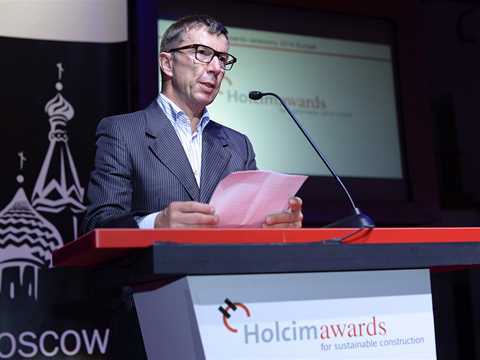 Ken De Cooman referred to the LafargeHolcim Awards Acknowledgement prize winning “Socially-integrated office building with sustainable façade” project of BC architects & studies located in Addis Ababa, Ethiopia to illustrate how sustainability can be achieved by integrating traditional building materials and techniques as well as local craftsmanship to realize contemporary solutions. 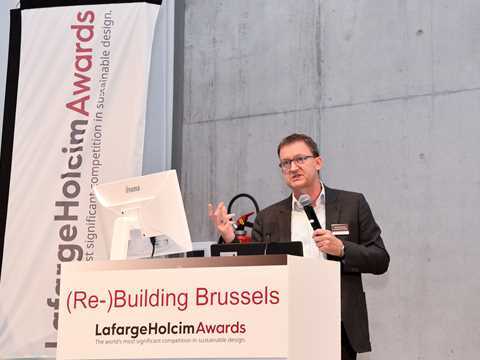 BC architects & studies, based in Brussels, shows that this approach also works in Europe with “Fort V” in Antwerp, a project to renovate and upgrade a warehouse into an educational facility, using compressed earth blocks from the neighborhood as well as natural local materials for insulation. 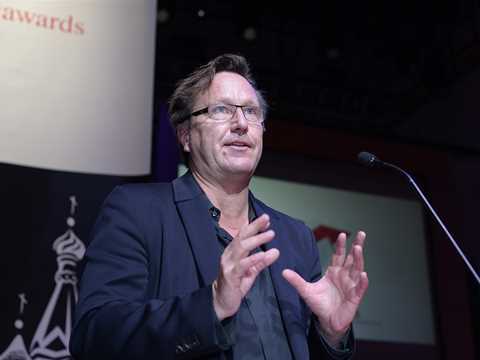 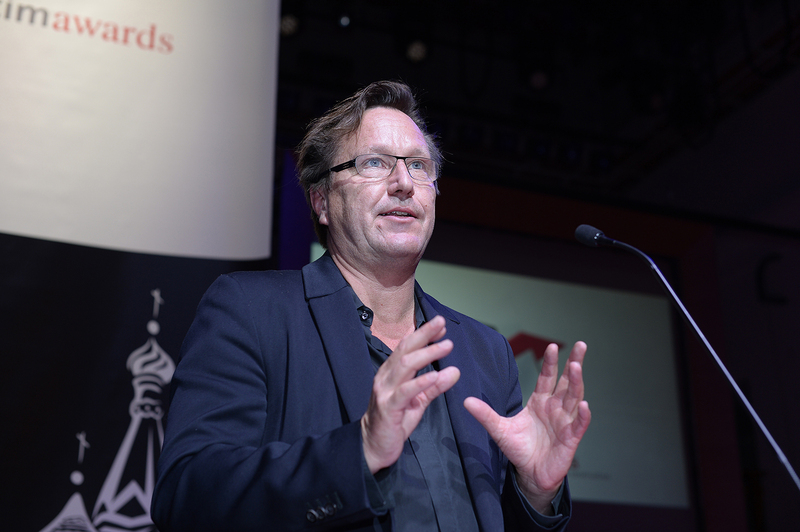 Ken De Cooman stressed that sustainable construction is about respecting local design traditions, identities and materials combined with satisfying modern needs – and bringing together enthusiastic teams. 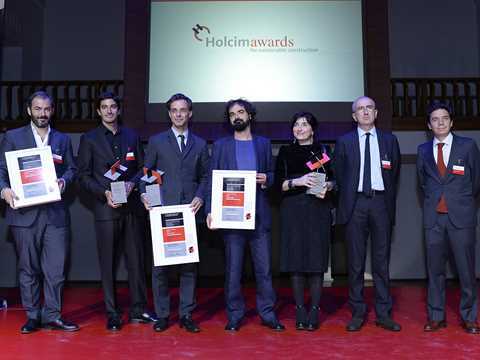 Claudia Albertini, CEO of Holcim Belgium, and Bart Daneels, Sales & Marketing Director, congratulated the winners on their projects and emphasized that the LafargeHolcim Group is engaged in sustainable development on all continents and with products and services to meet highest expectations also with regard to sustainability. 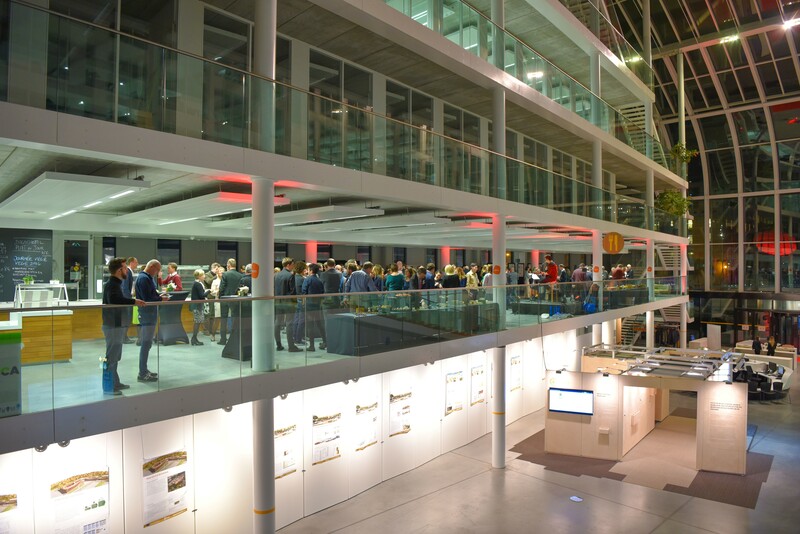 The construction materials village at the Vergotedok in the Port of Brussels is an illustration of sustainable urban logistics. 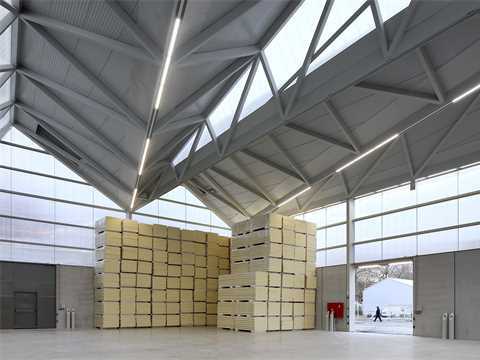 By distributing construction materials to the city and collecting construction waste from the city, the village functions as an important logistics and distribution hub between port and city. Rather than purchasing an eco-label as an individual building, the village is part of a larger urban ecosystem. 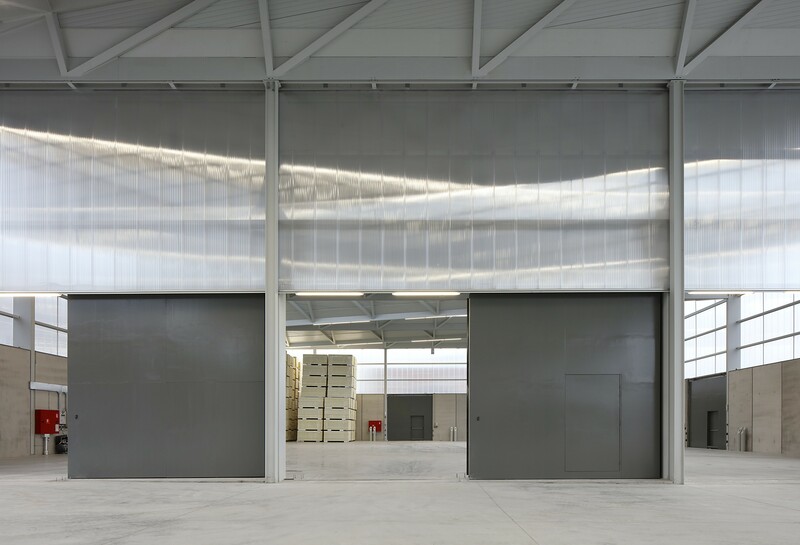 The modular and hierarchical structure of the warehouses makes the architecture receptive to different programmatic demands of various concession holders; for example the rainwater collected on the large roof and the energy produced can be put to the service of the ready-mix concrete plant on site and serve future developments in the surrounding neighborhood. 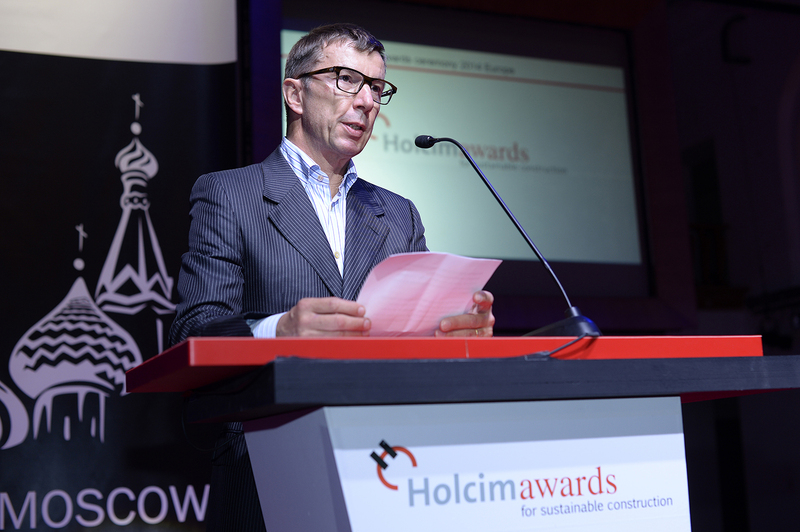 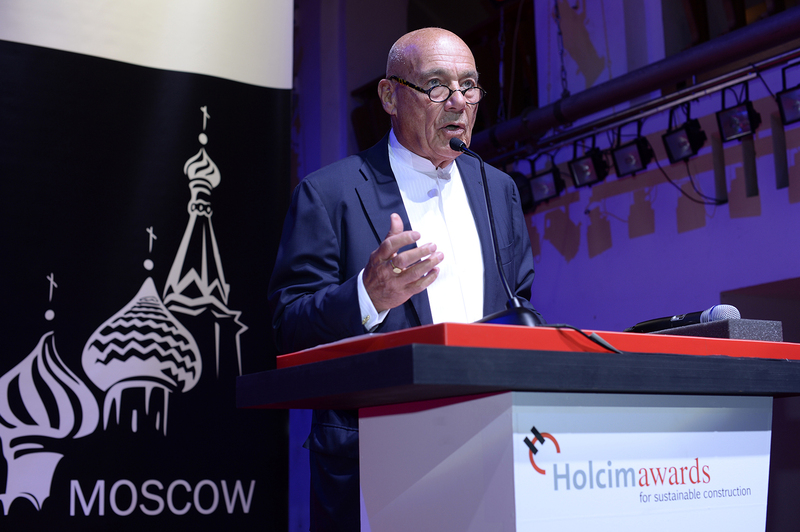 Lieven De Groote notes that Holcim Awards winning projects go further than surface-level sustainability. 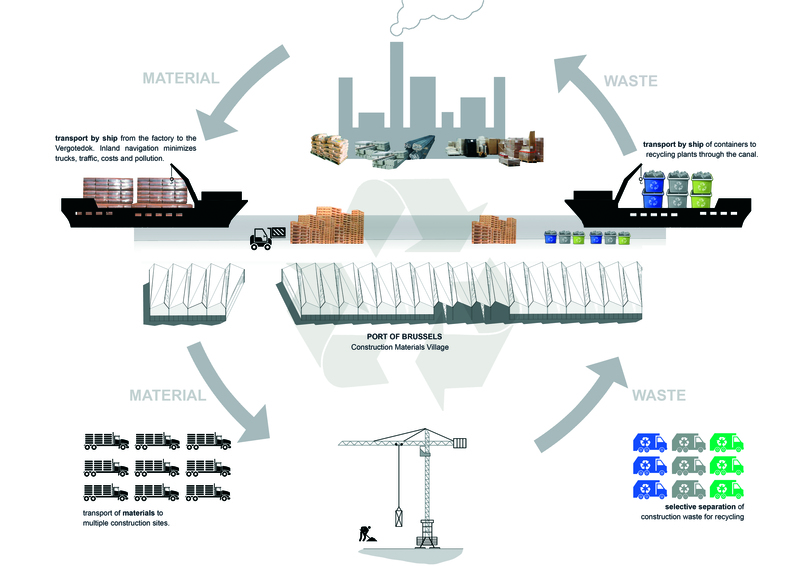 “Material Flows: Construction materials recycling and logistics hub, Brussels, Belgium” addresses an important missing link in the material life-cycle management. A team from TETRA architecten in Belgium received an Acknowledgement prize for their materials village in the Port of Brussels that distributes construction materials to the city, and also collects and recycles construction materials waste from the city. 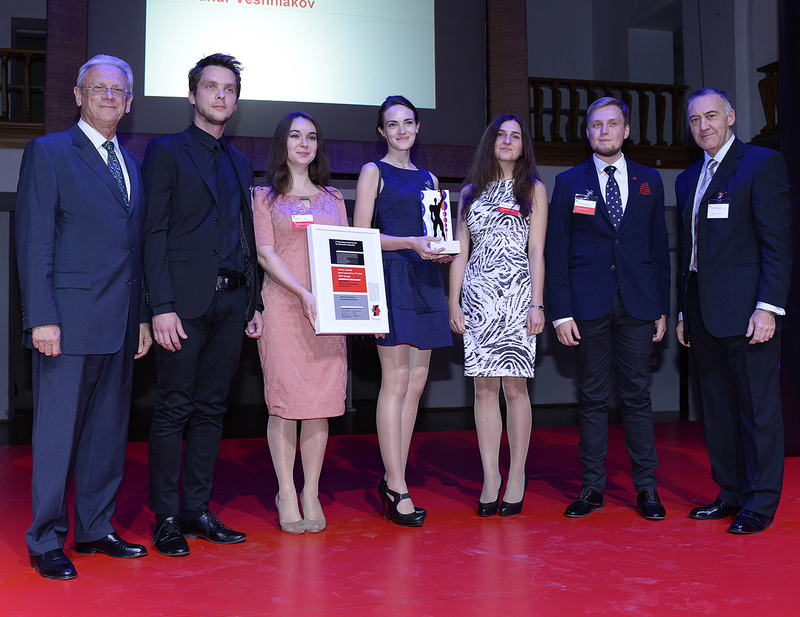 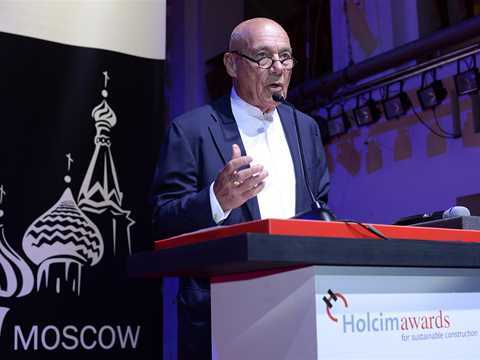 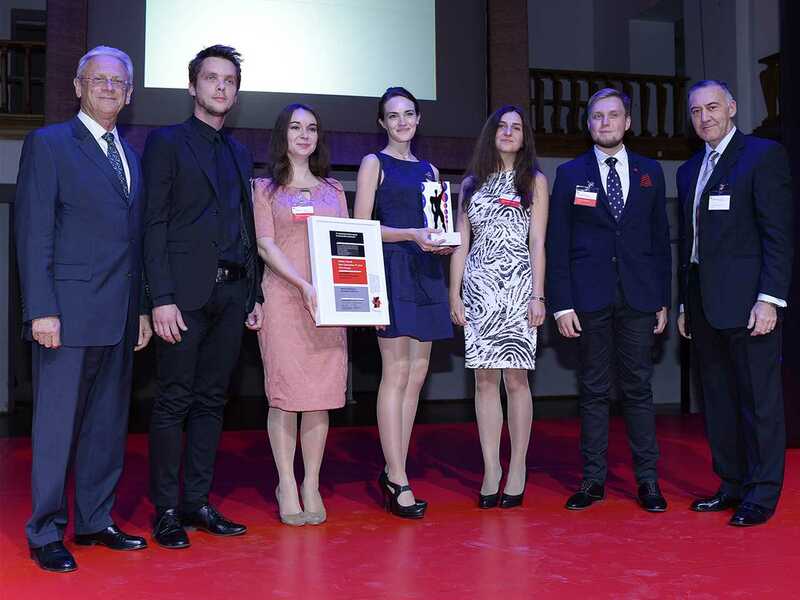 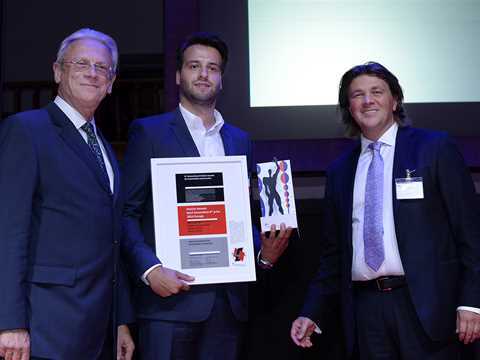 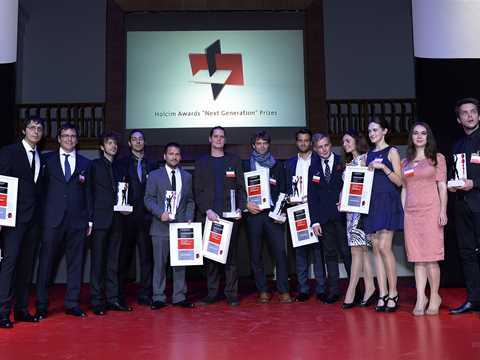 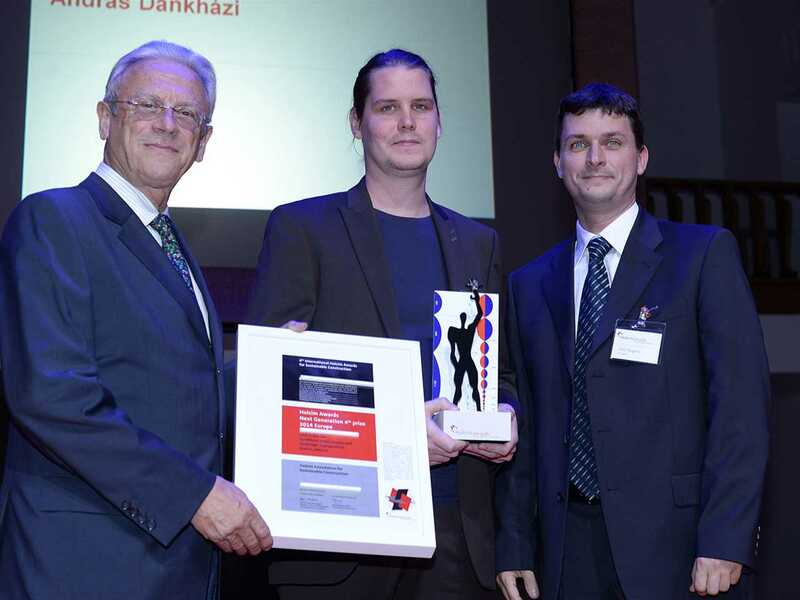 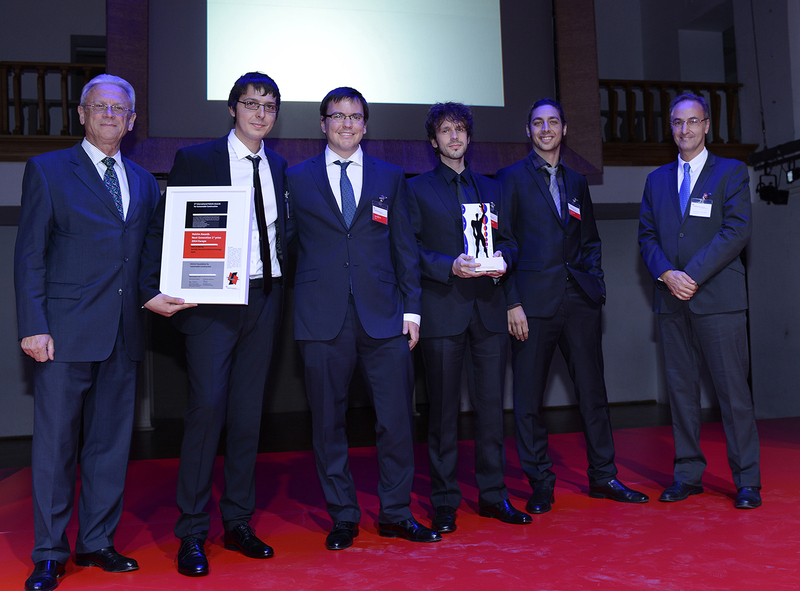 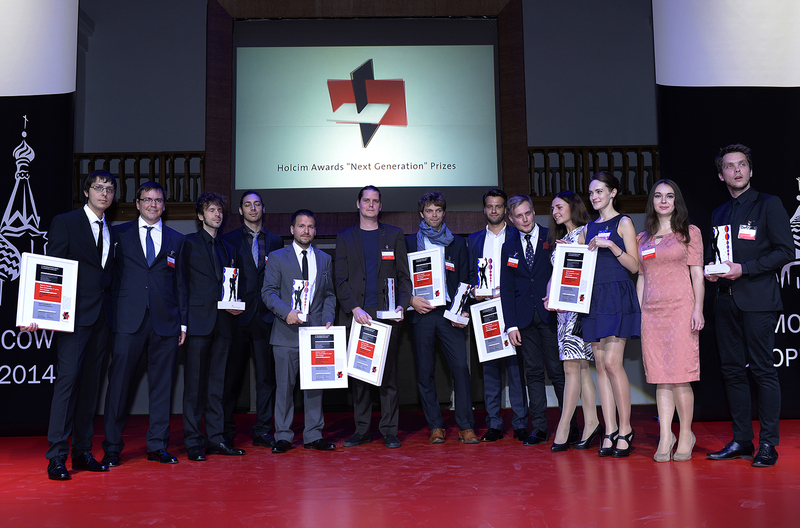 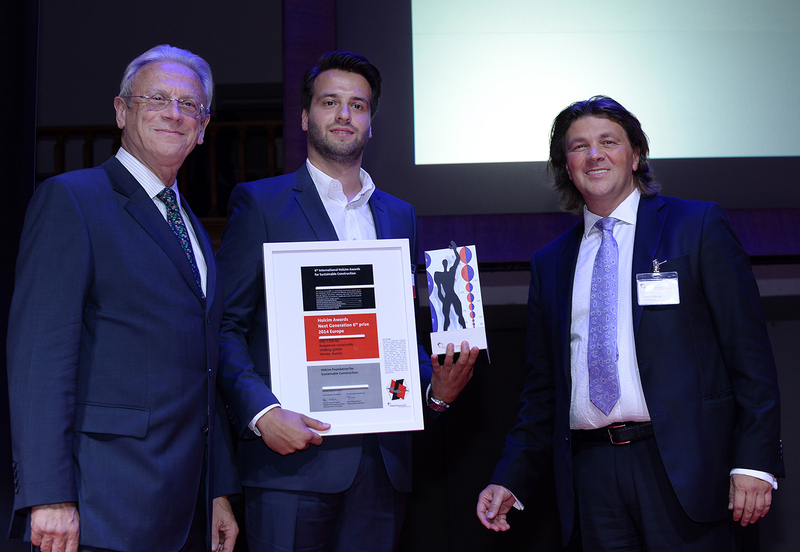 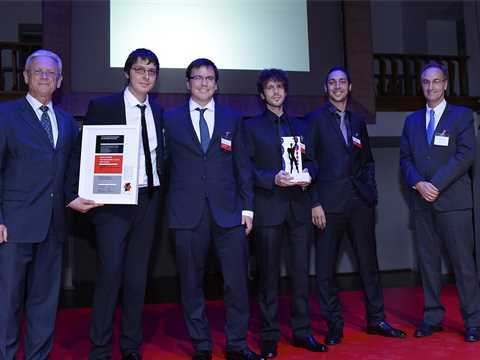 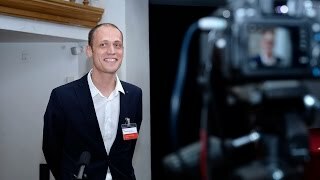 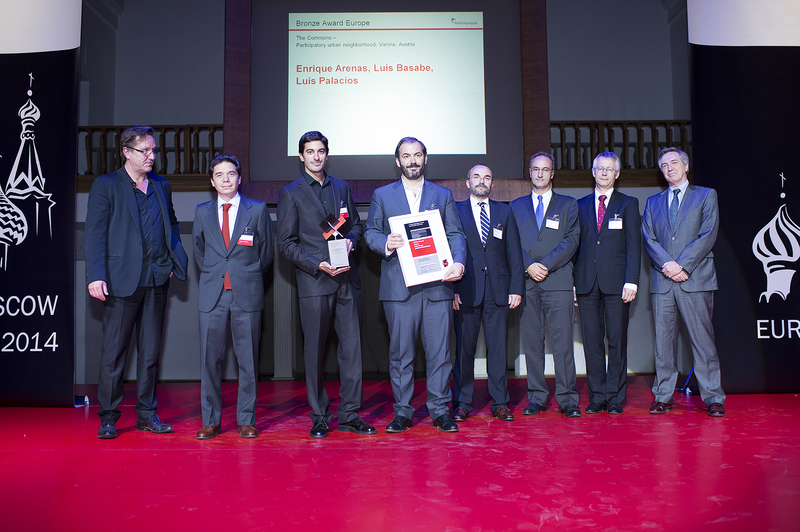 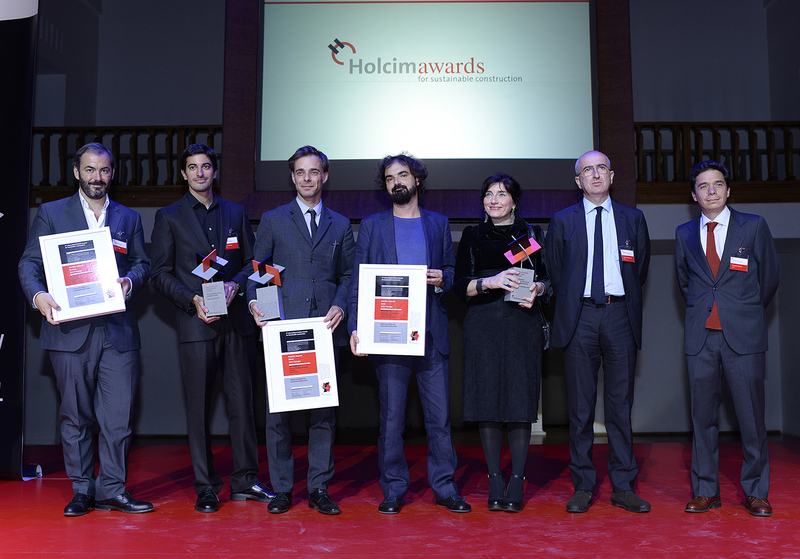 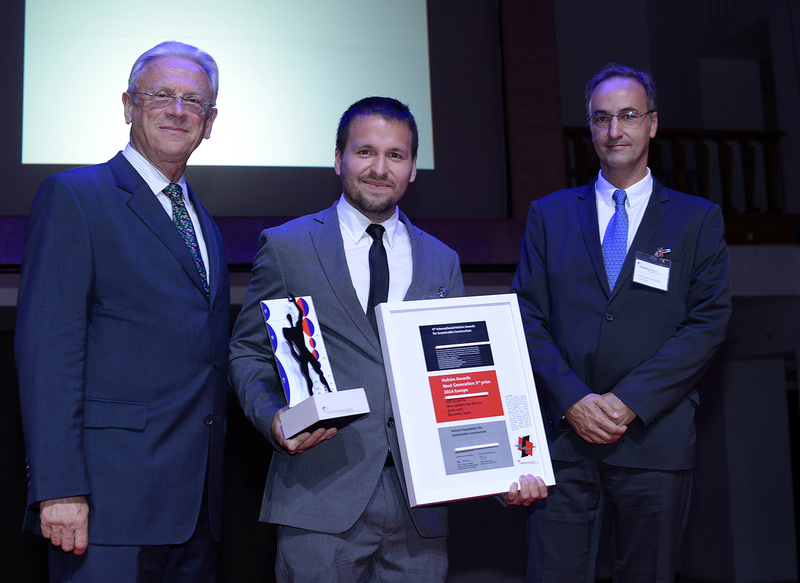 The winning projects of the Holcim Awards 2014 for Europe illustrate how sustainable construction continues to evolve – developing more sophisticated and multi-disciplinary responses to the challenges facing the building and construction industry. The jury considers the strength of the project to lie in its objective to situate architecture – as node or relay – within a dynamic, metabolic system of material flows in the midst of a city environment. 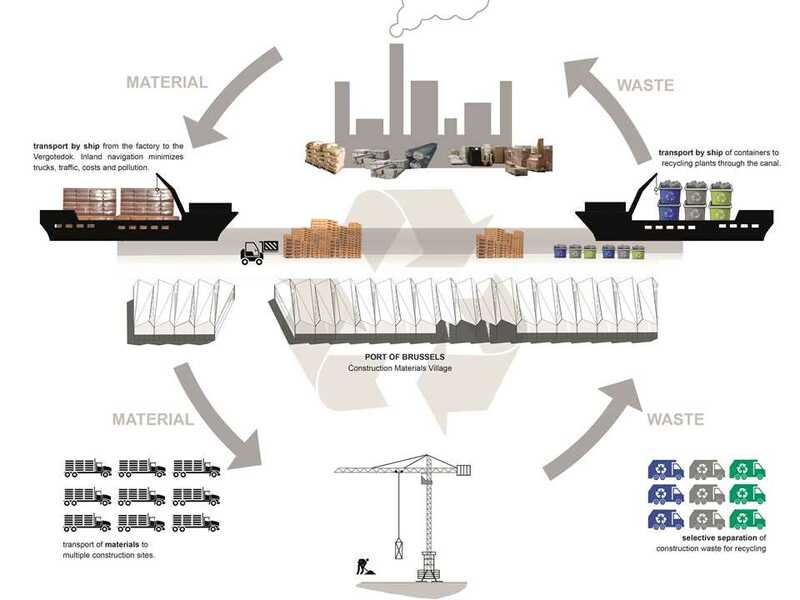 Addressing an important missing link in the material life-cycle management of the contemporary urban realm, understood as an eco-system, the design proposal aims to apply sustainability principles to the construction of infrastructure. 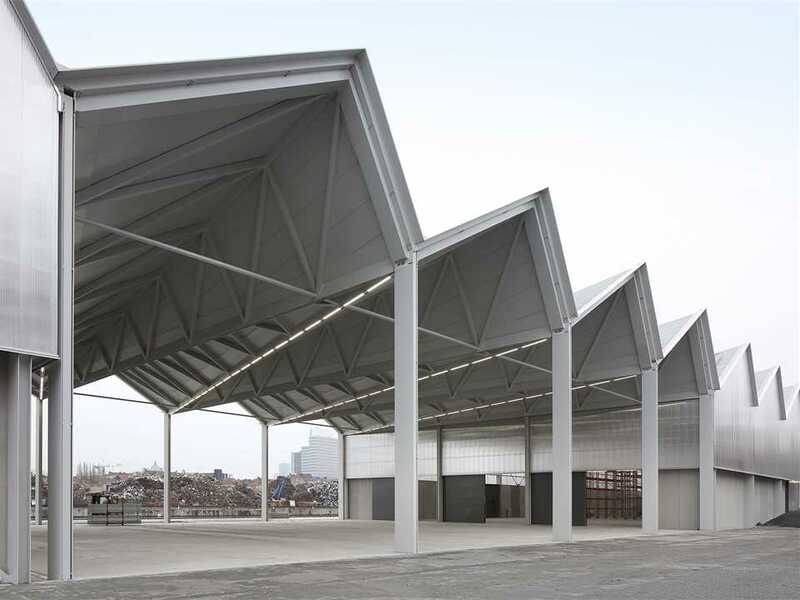 The construction materials village at the Vergotedok in the Port of Brussels, Belgium is an illustration of sustainable urban logistics. 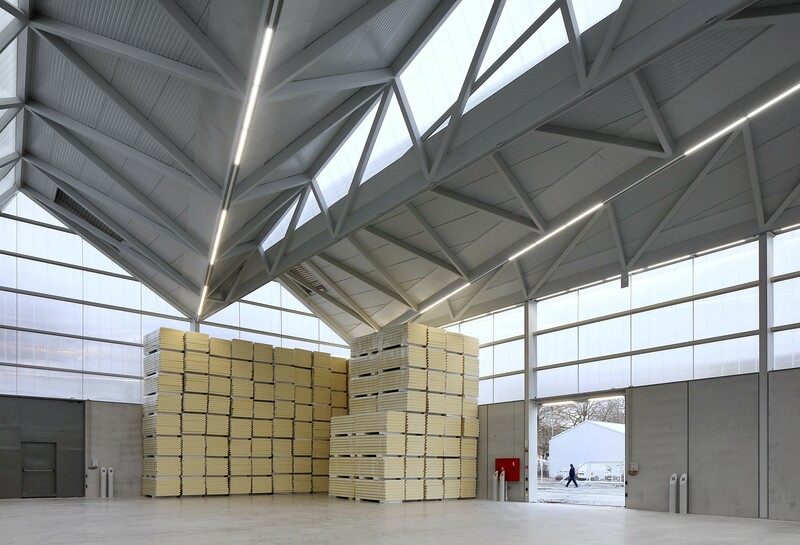 By distributing construction materials to the city and collecting construction waste from the city, the village functions as an important logistics and distribution hub between port and city. 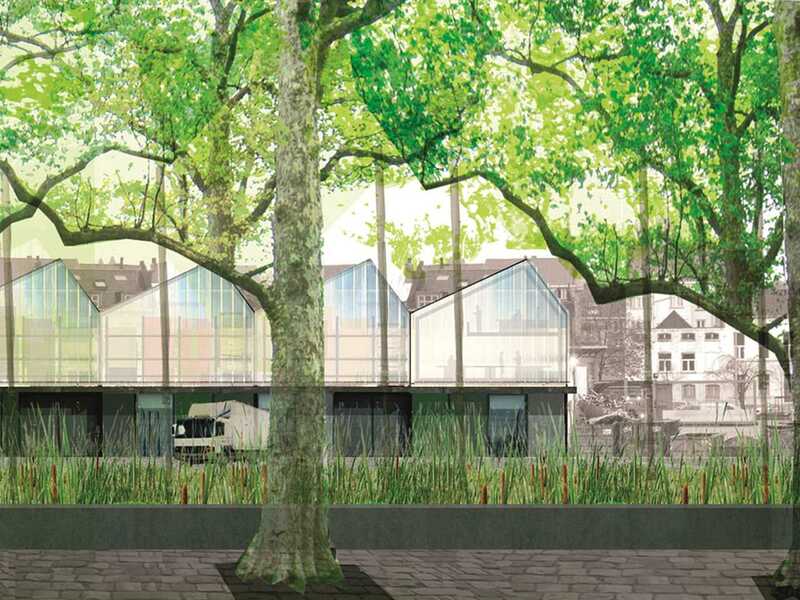 Rather than purchasing an eco-label as an individual building, the village is part of a larger urban ecosystem. The modular and hierarchical structure of the warehouses makes the architecture receptive to different programmatic demands of various concession holders; for example the rainwater collected on the large roof and the energy produced can be put to the service of the ready-mix concrete plant on site and serve future developments in the surrounding neighborhood. 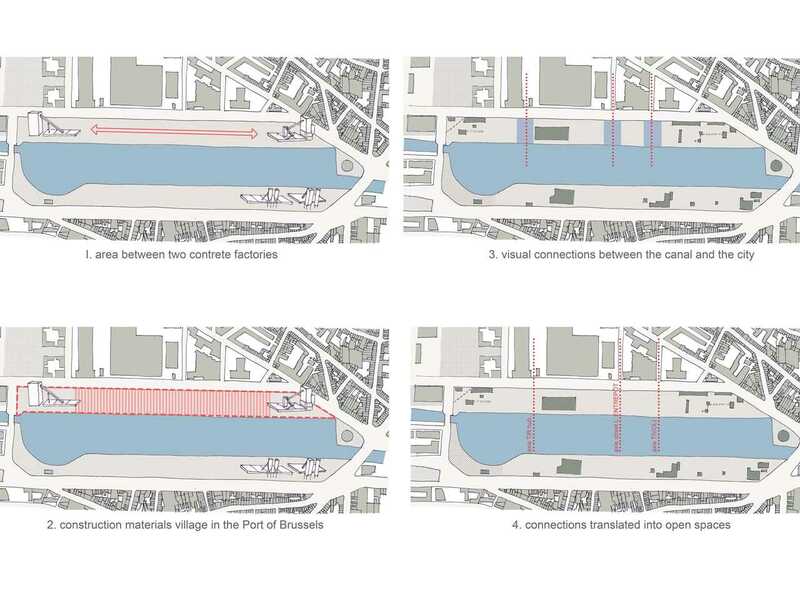 A port in the city: The location of the construction materials village near the canal and in the city center is an opportunity to invest in inland navigation, reducing truck traffic, urban pollution and costs. 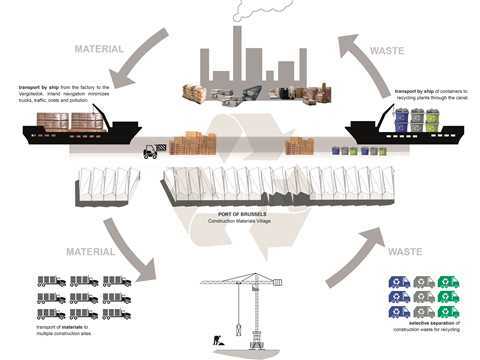 Missing link in product life cycle management: Every year, 2 million tons of construction materials are transported by ship to Brussels, and every year 700,000 tons of construction materials waste is generated in Brussels. Nevertheless, most of the loaded incoming ships are leaving the port empty and vice versa. 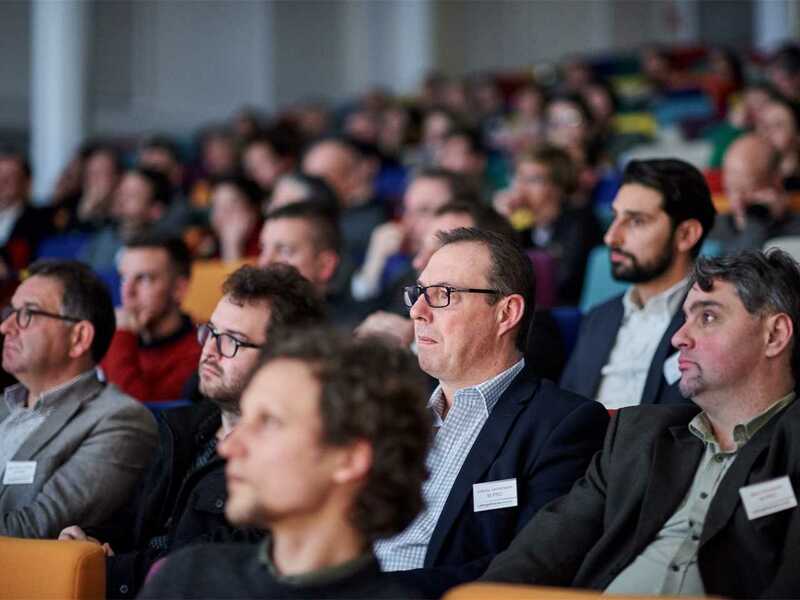 As a distribution hub for construction materials and subsequent waste, the village at the Vergotedok becomes an important missing link in the product life-cycle management of these materials. Modular structure for a flexible program: To provide more uniformity to the disorganized site, an invisible grid is plotted with a cadence of 20m: the distance between two bollards on the quay. 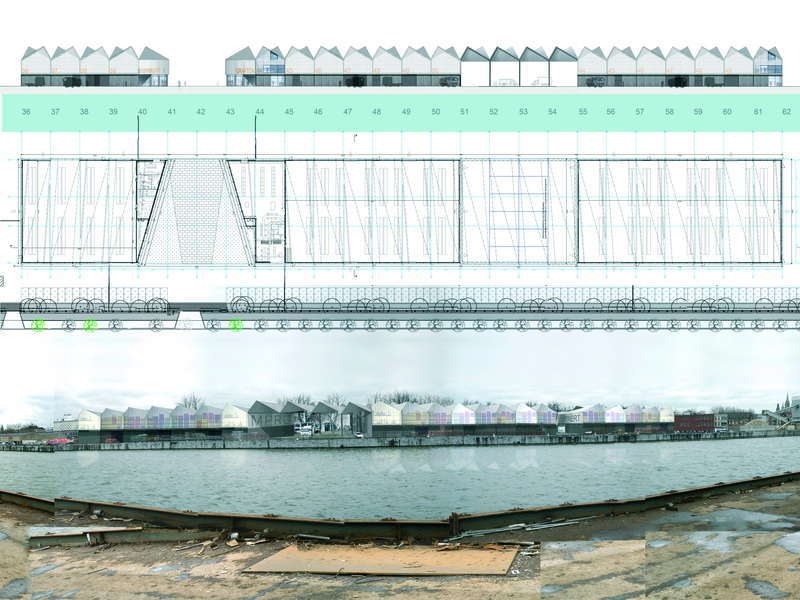 Two concrete plants at both ends of the dock, with their silos and peculiar landscapes of sand, cement and aggregates, will give the materials village a very striking character. 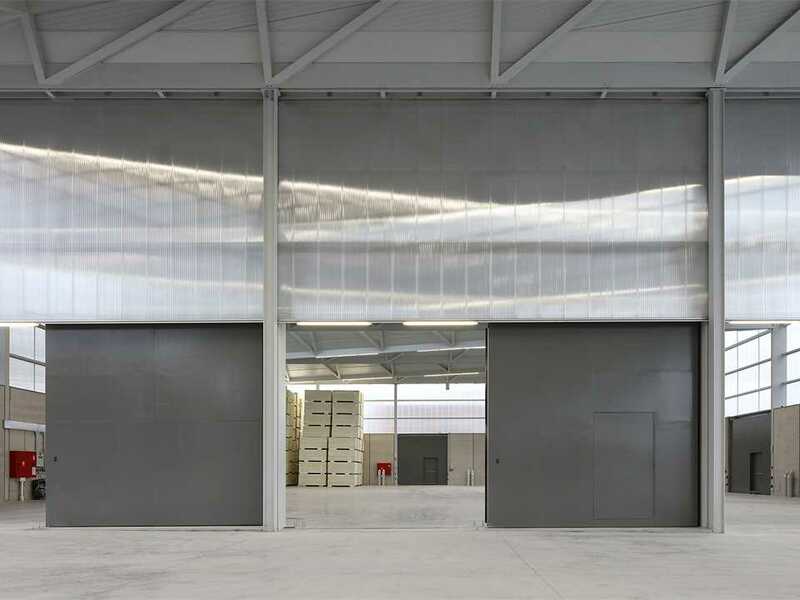 The modular and hierarchical structure of the warehouses makes the architecture receptive to different programmatic demands of various concession holders. 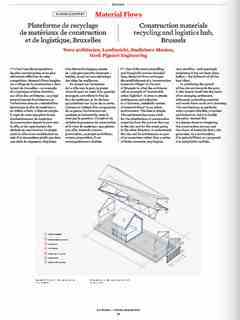 The architecture even allows surviving the initial allocation of a building materials village. 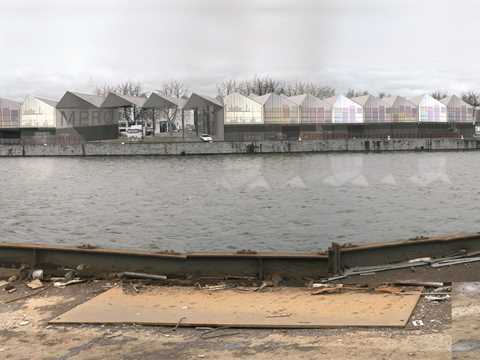 At the service of the neighborhood: The urban landscape around the Vergotedok is undergoing a metamorphosis. New residential areas, offices and parks will soon consume a large volume of water and energy. The large roof surface of the village can provide 5.3 million liters of rainwater and 807,500 kWh per year, while its needs are very small. 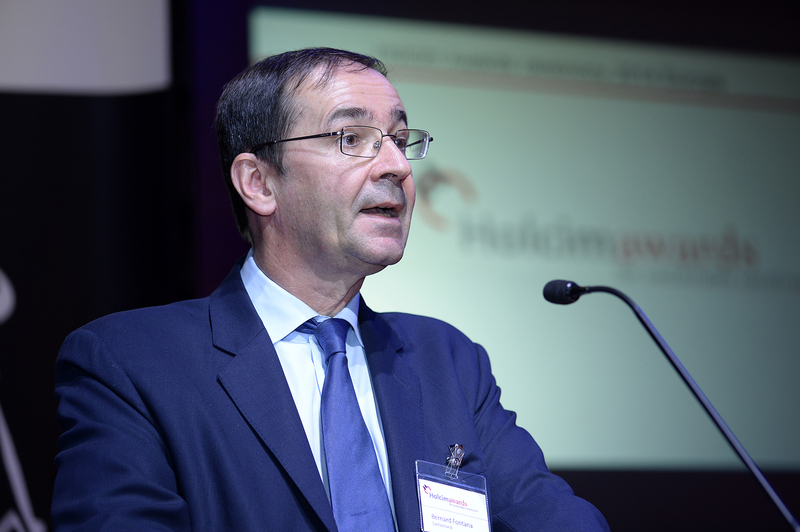 Putting it at the service of the surrounding developments will generate a win-win situation. Assembly and construction by ship: The upper structure is a dry construction. 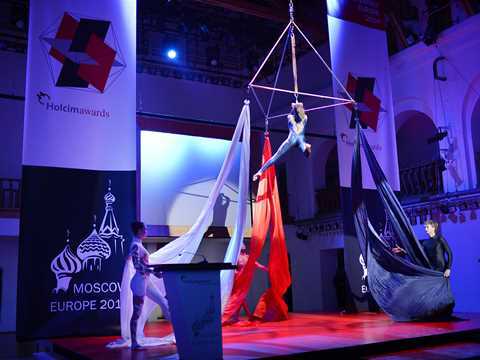 All preparations can be done in a factory. Almost all elements will be transported by ship to the building site. This has the added advantage that steel trusses can be assembled and delivered in large dimensions. 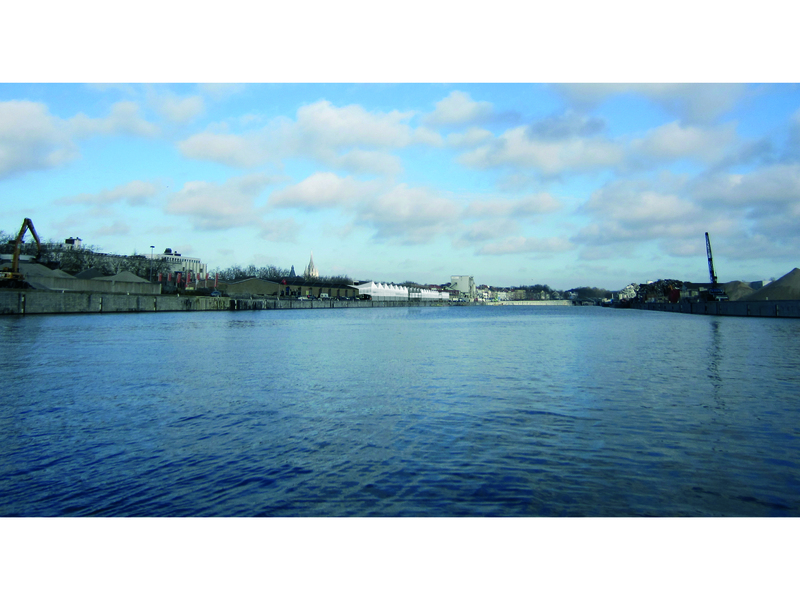 Urban theater: The port areas splitting the urban agglomeration in two can be seen as part of a metropolitan landscape, as the backdrop of the city where industrial activity can be shown. 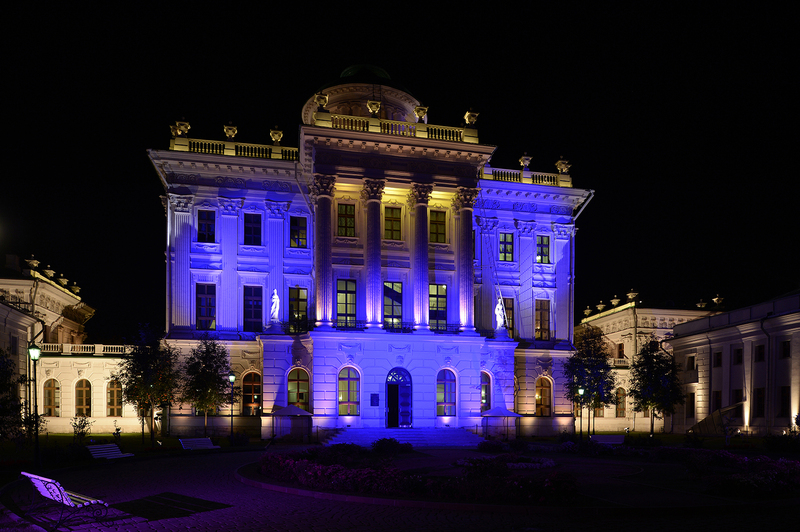 Transparency by day and night evokes an urban industrial theatre.